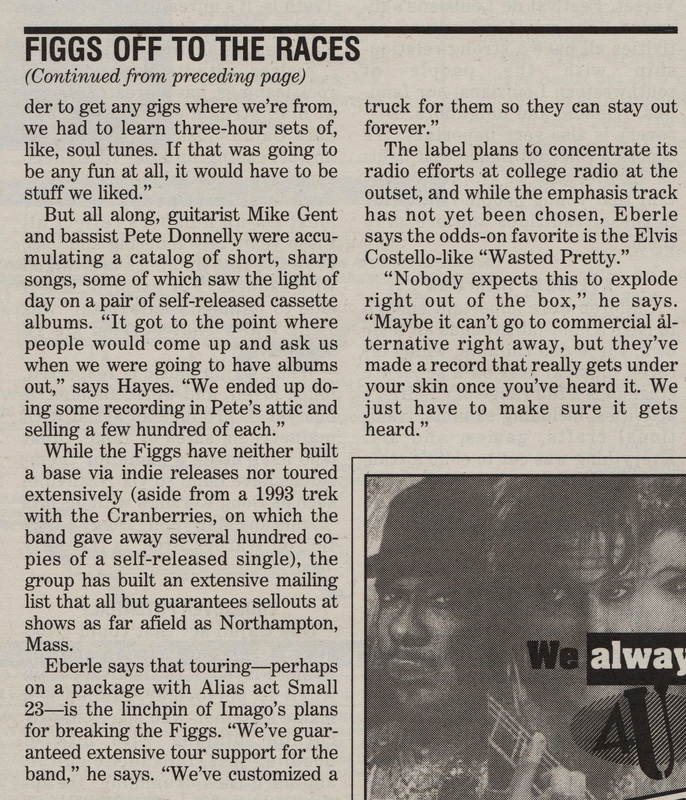 For a band that has been around for three decades, I've always thought surprisingly little has been written about them. Over time I've collected what I could of fanzines and other clippings. 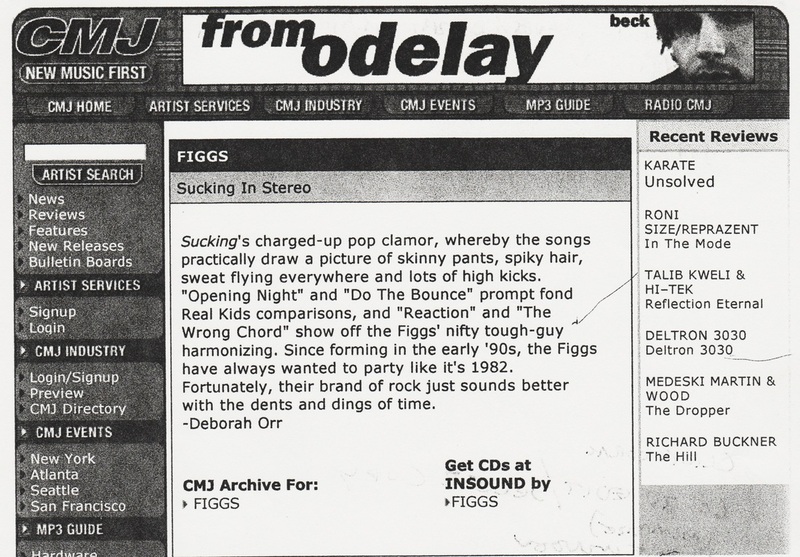 I've also combed the internet looking for anything worthwhile. 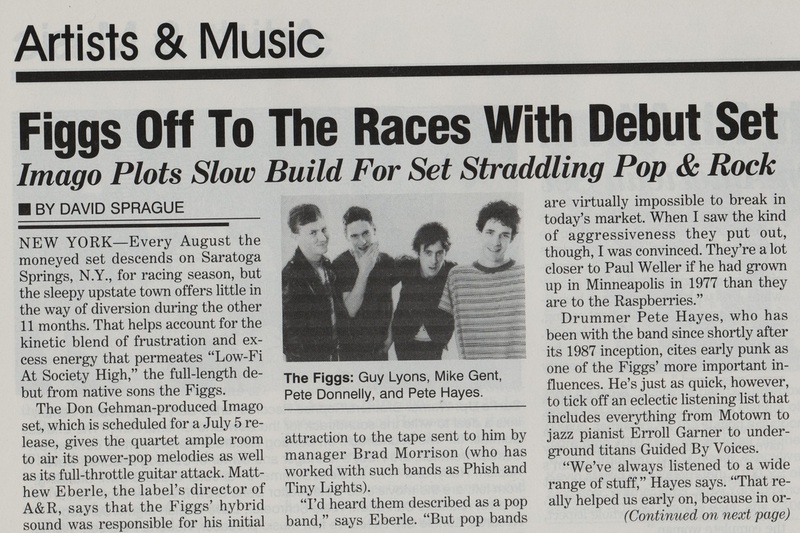 This is far from a complete list, but it's the largest grouping of articles to date. If I own it, I scanned it. 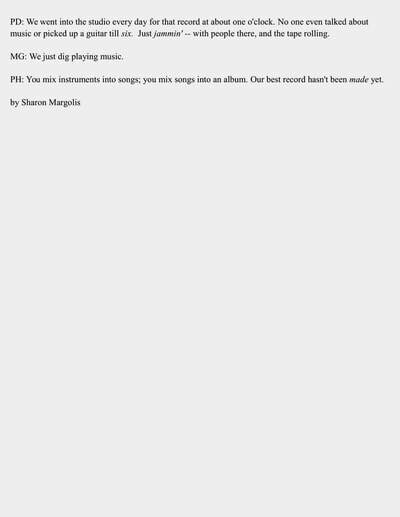 If not, a link is available. 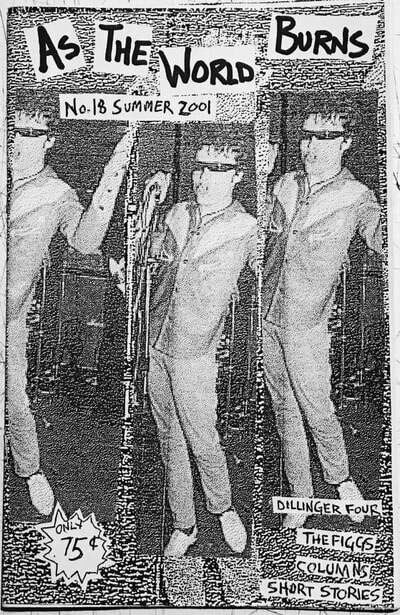 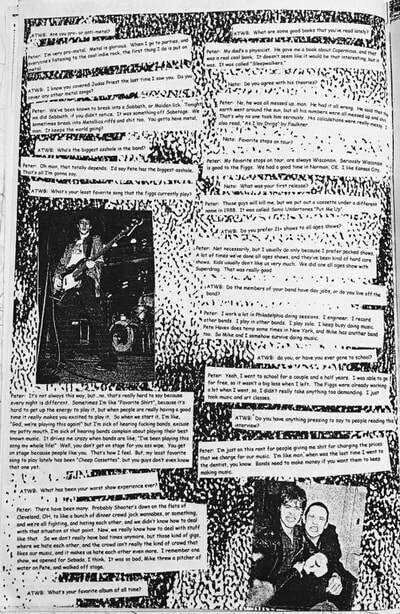 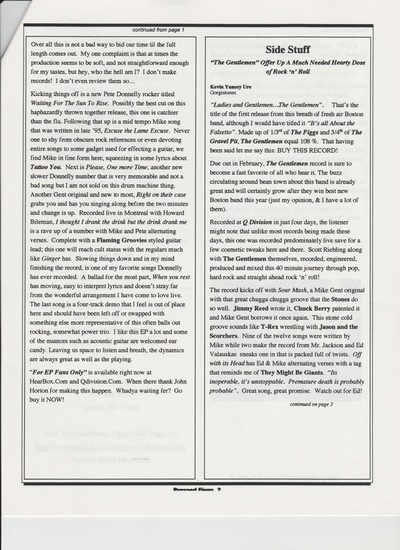 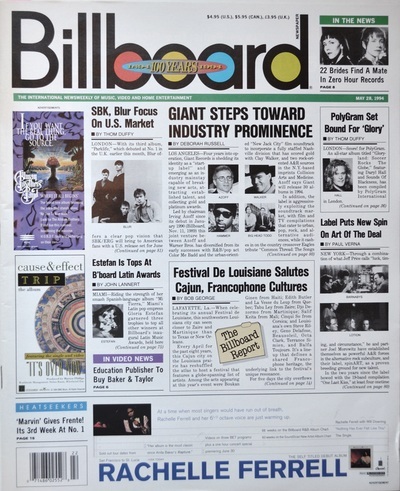 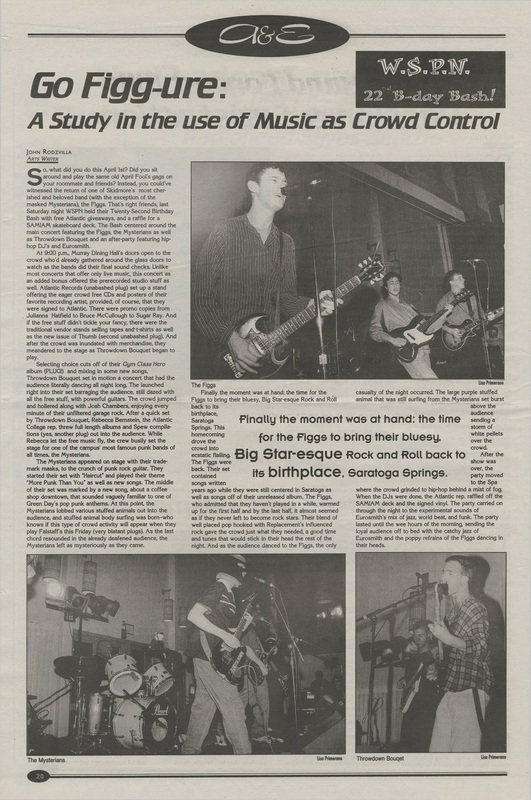 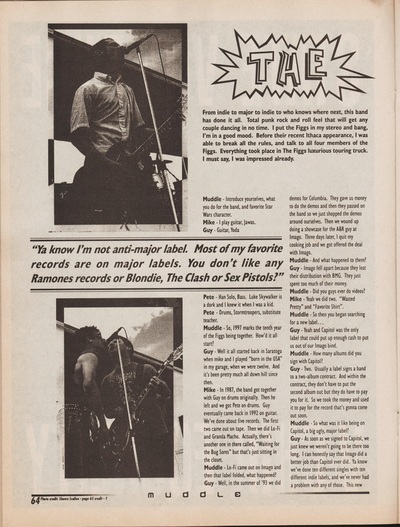 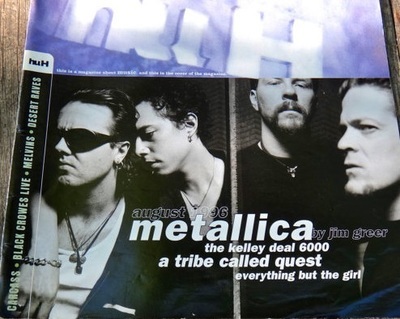 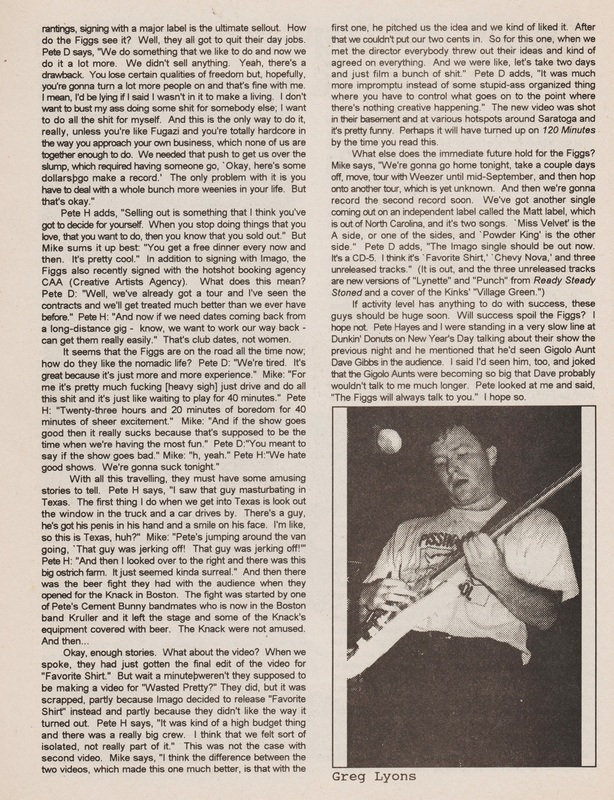 Show review from Caroline St. Block Party on 1990.05.06. 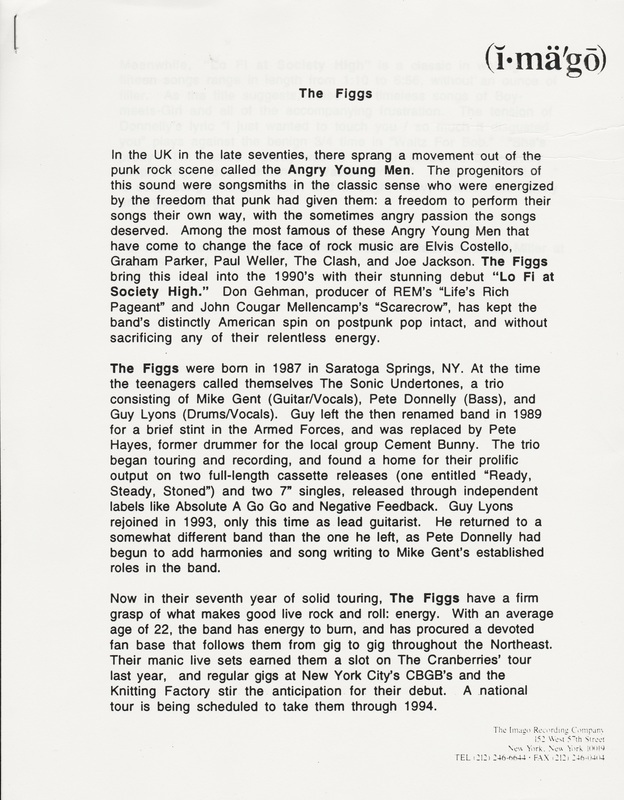 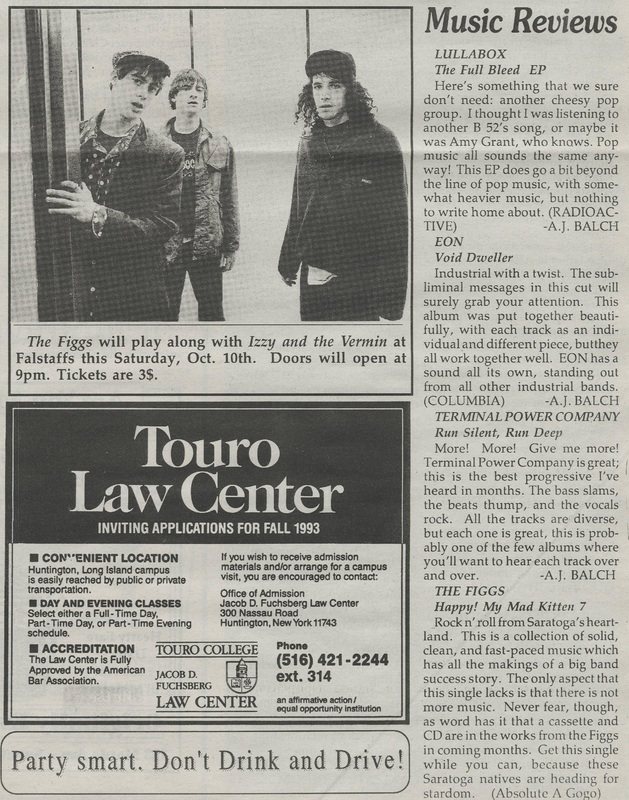 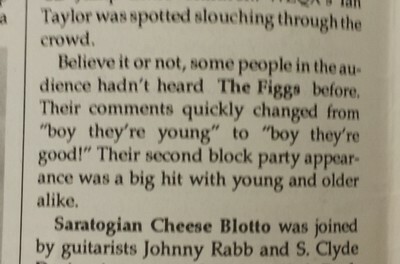 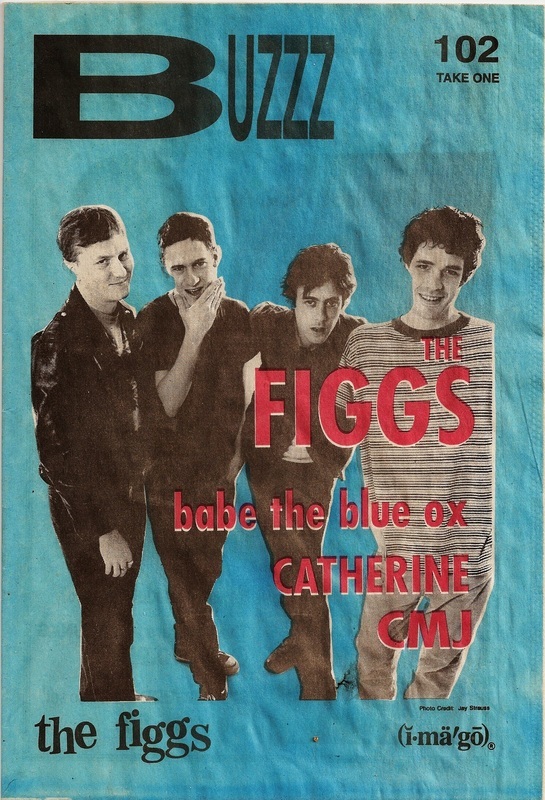 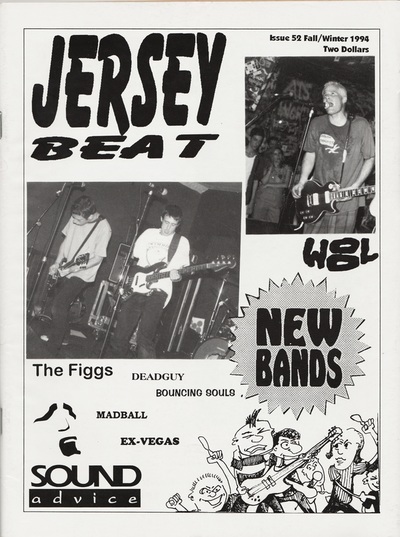 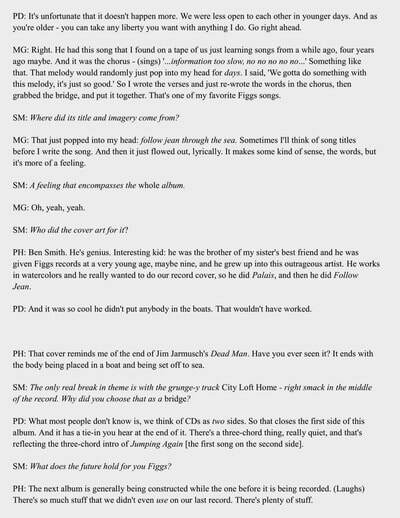 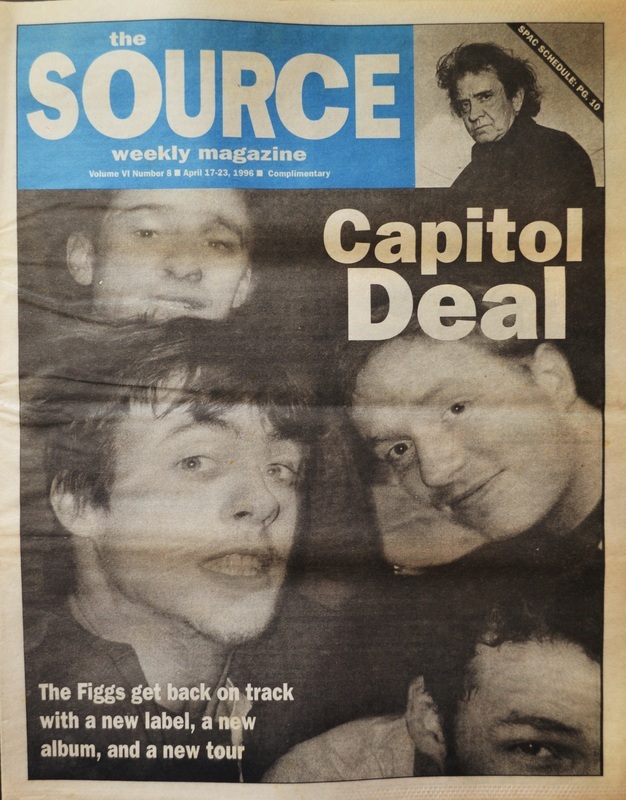 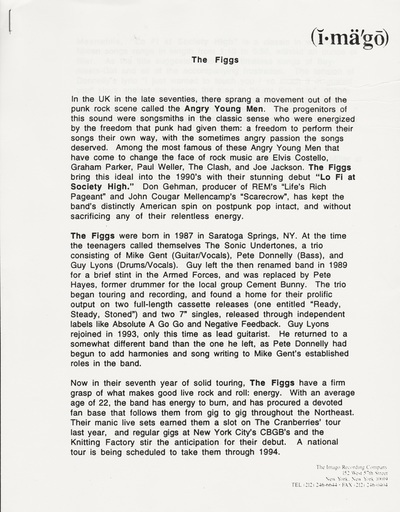 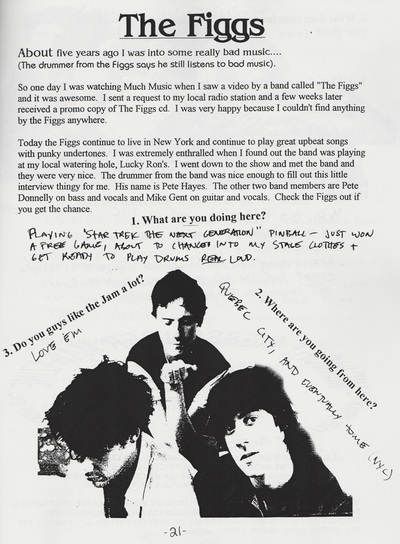 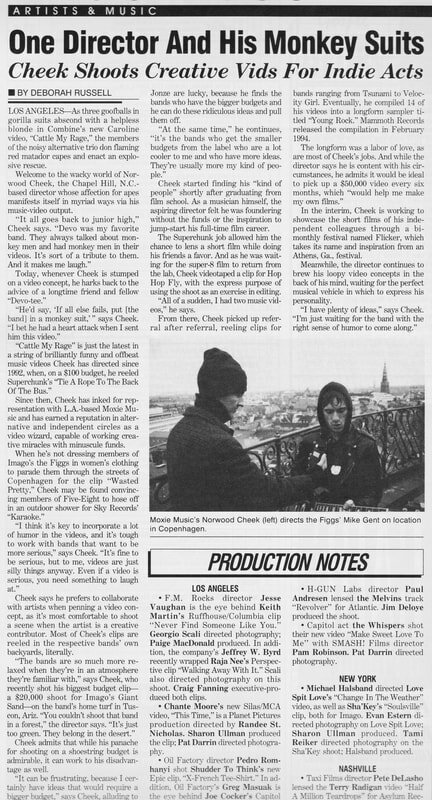 "Believe it or not, some people in the audience hadn't heard the Figgs before." 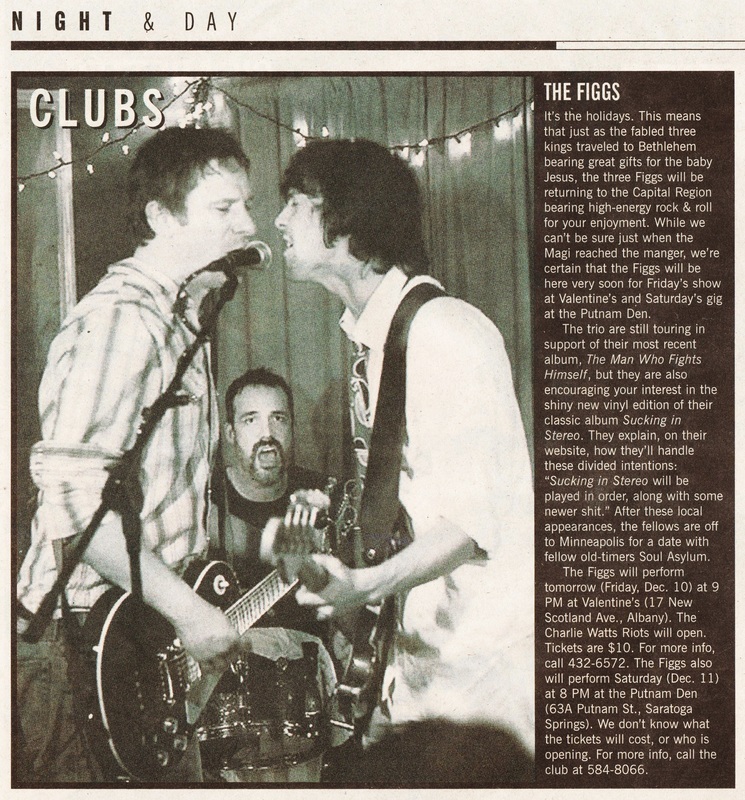 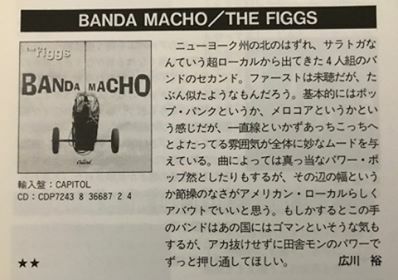 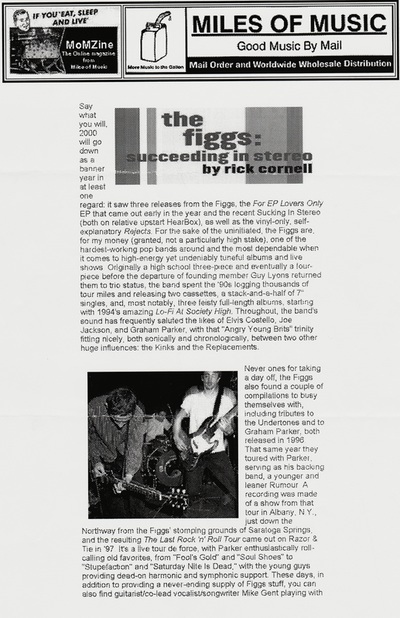 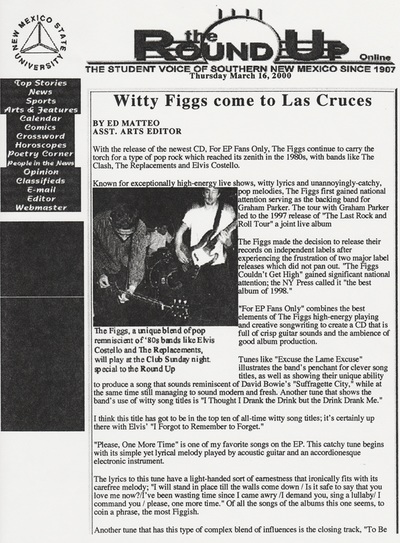 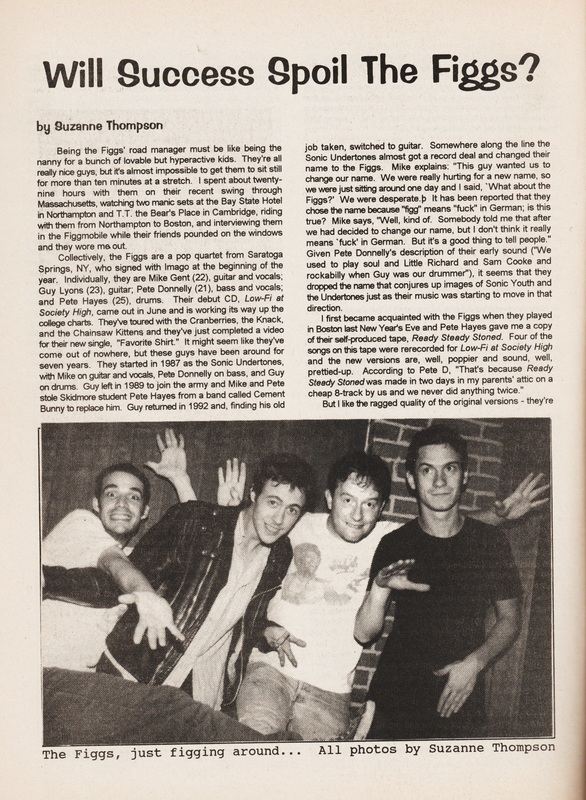 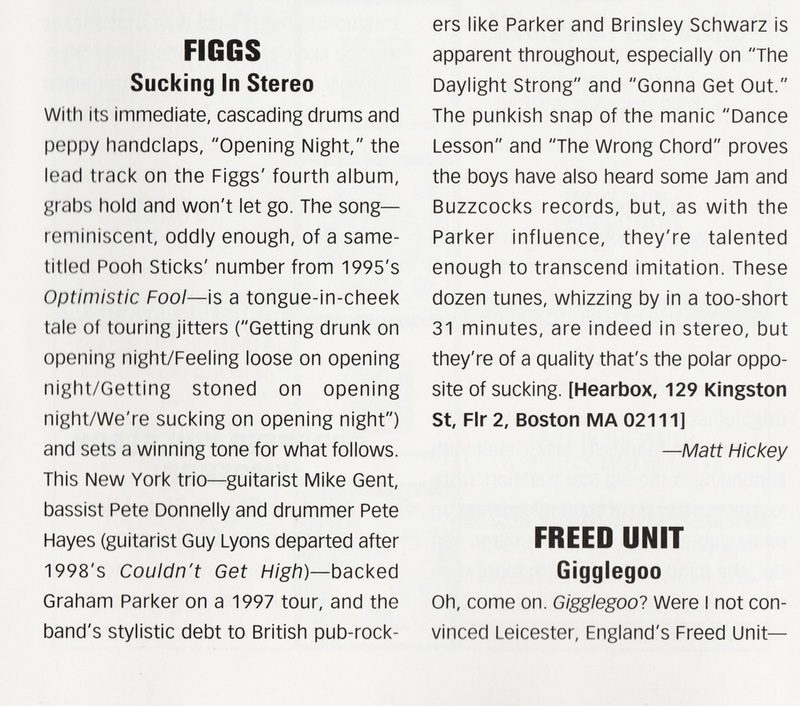 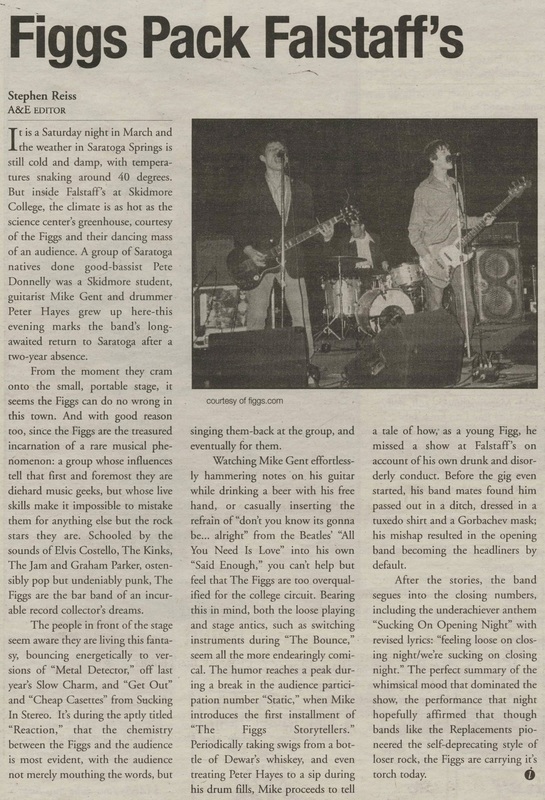 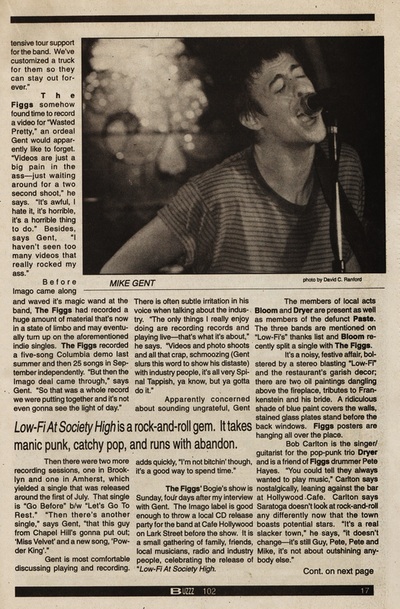 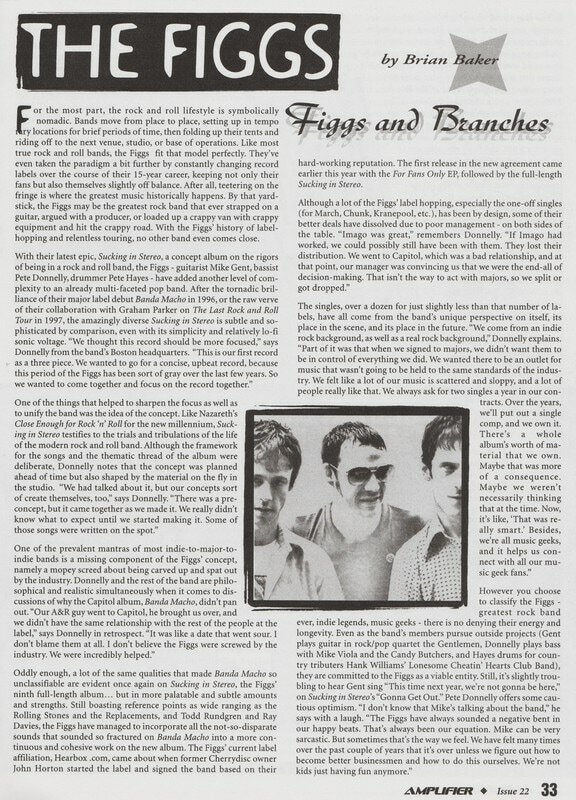 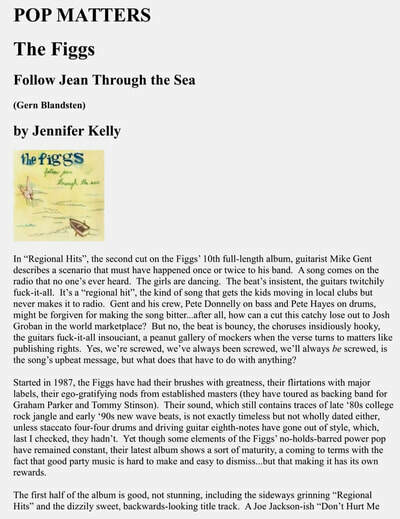 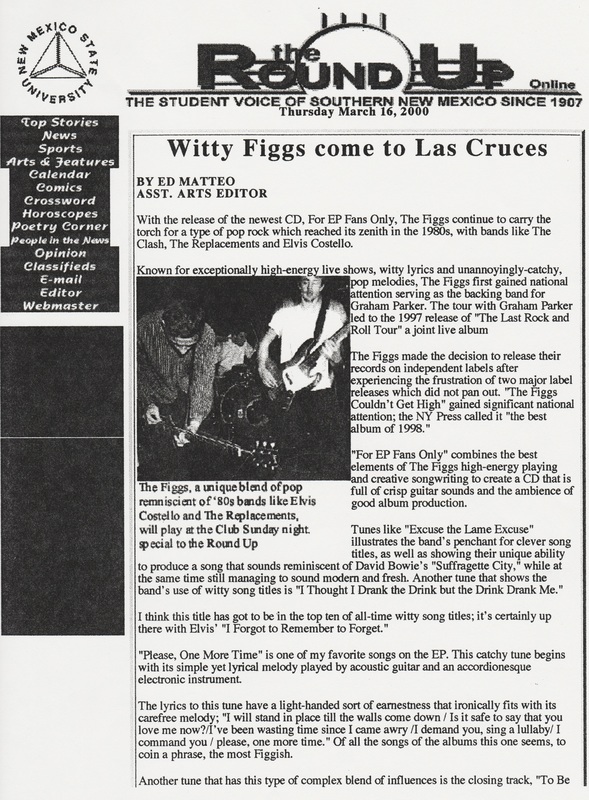 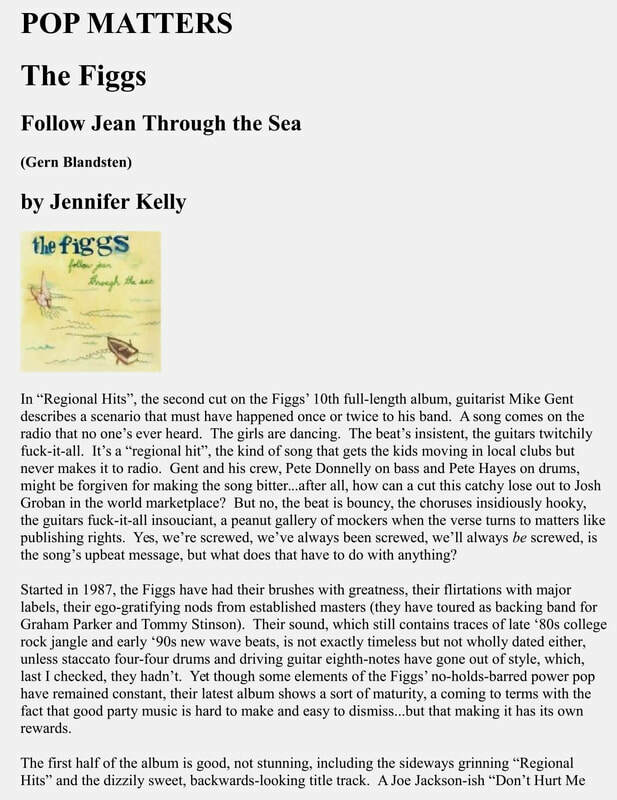 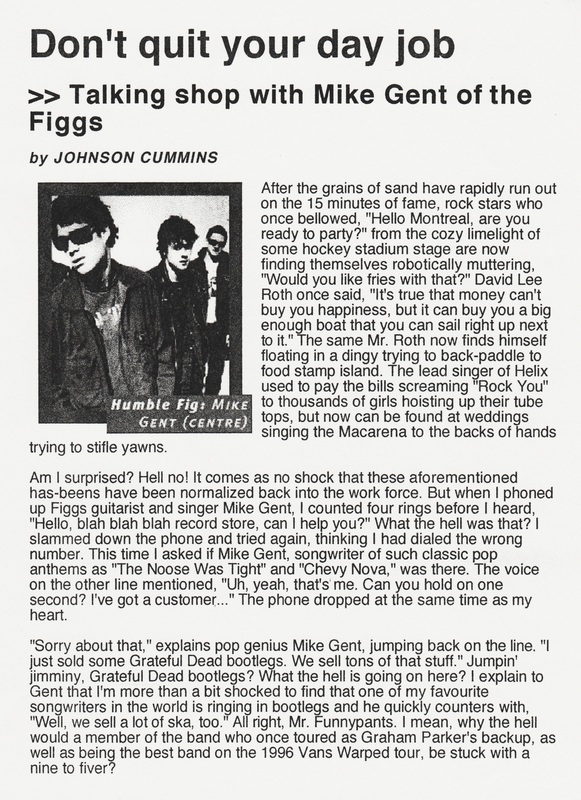 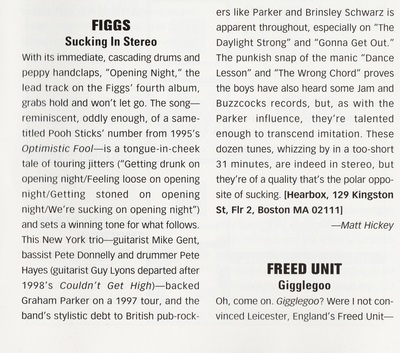 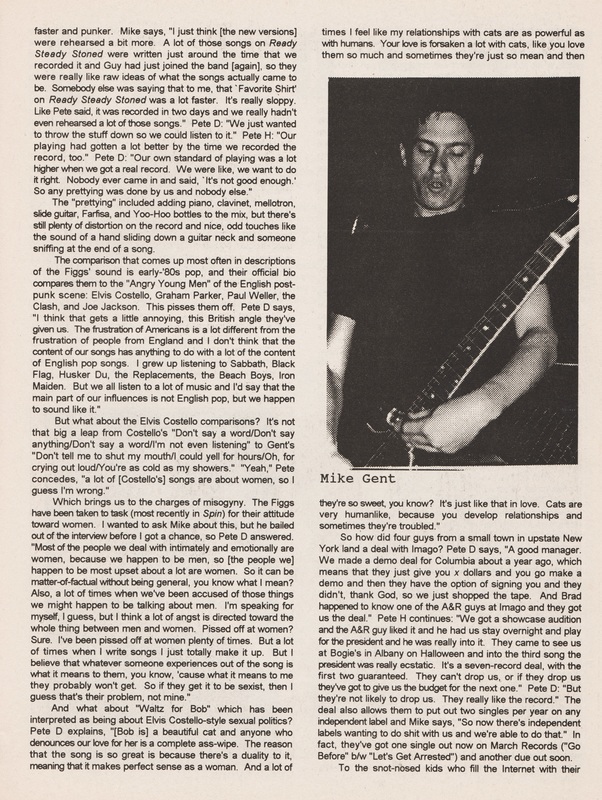 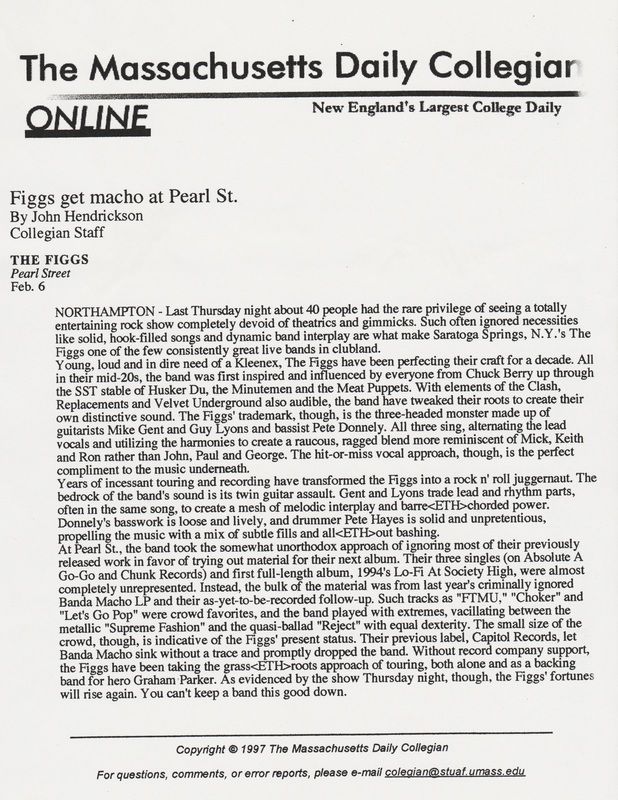 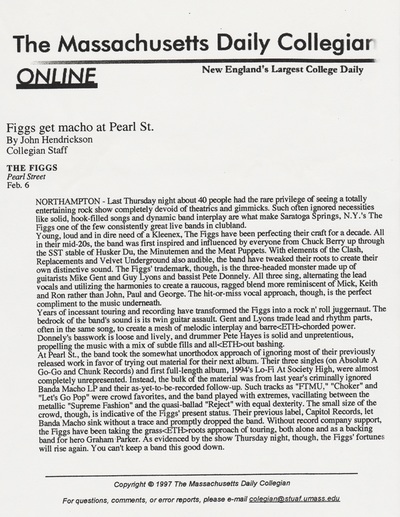 Review of the Happy 7"
article entitled "Figgs off to the races with debut set"
Show preview entitled "consistent kittens and fresh figgs"
Low-Fi at Society High album review. 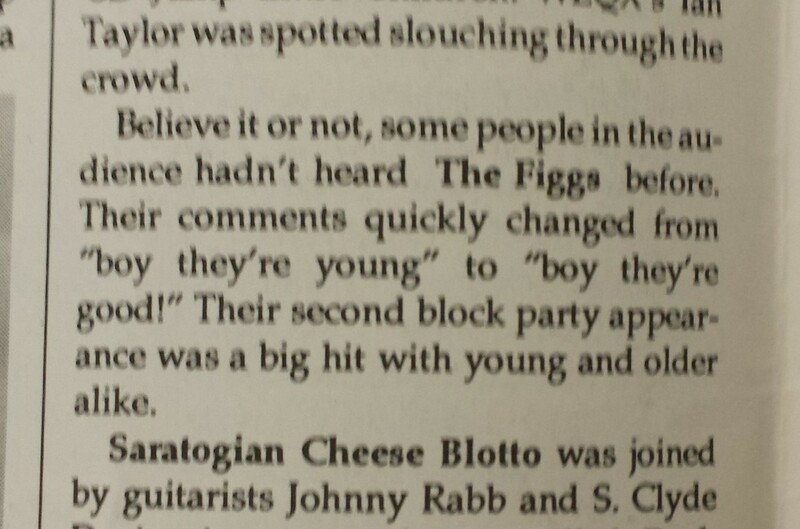 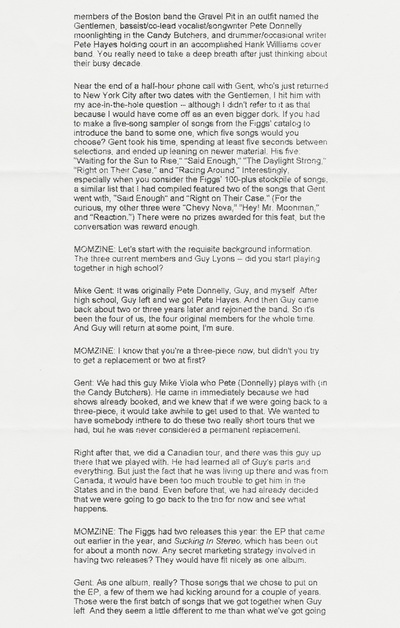 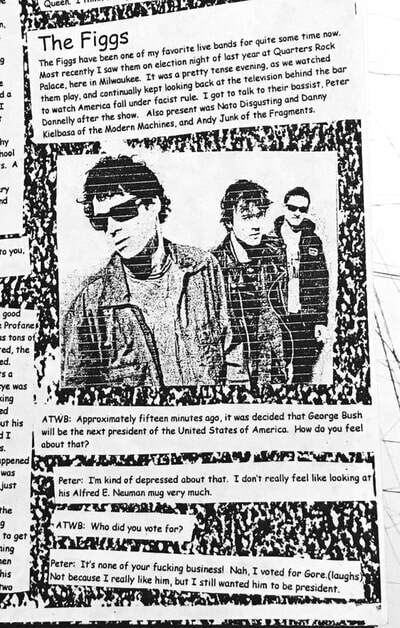 Live review of the 10.8.94 show at SUNY Albany. 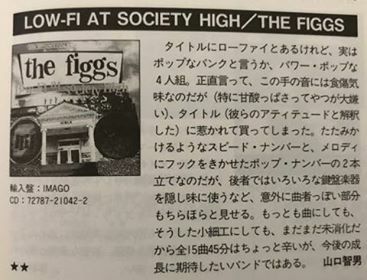 My first Figgs show! 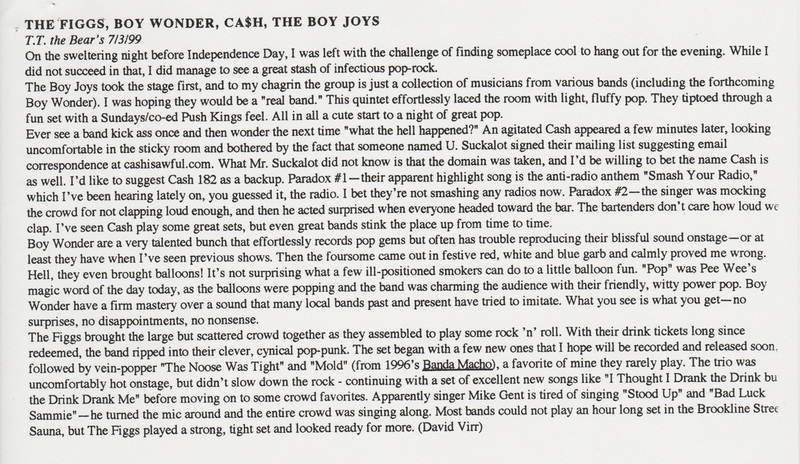 Review of the WARPED Tour stop in Pittsburgh titled All Punkers Are Created Equal. 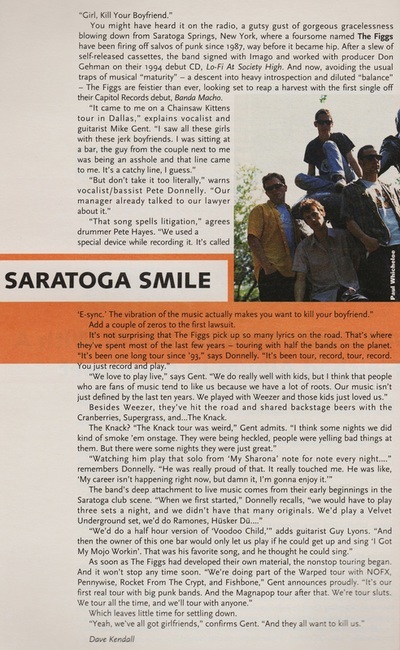 Look for the awesome quote from Hayes! 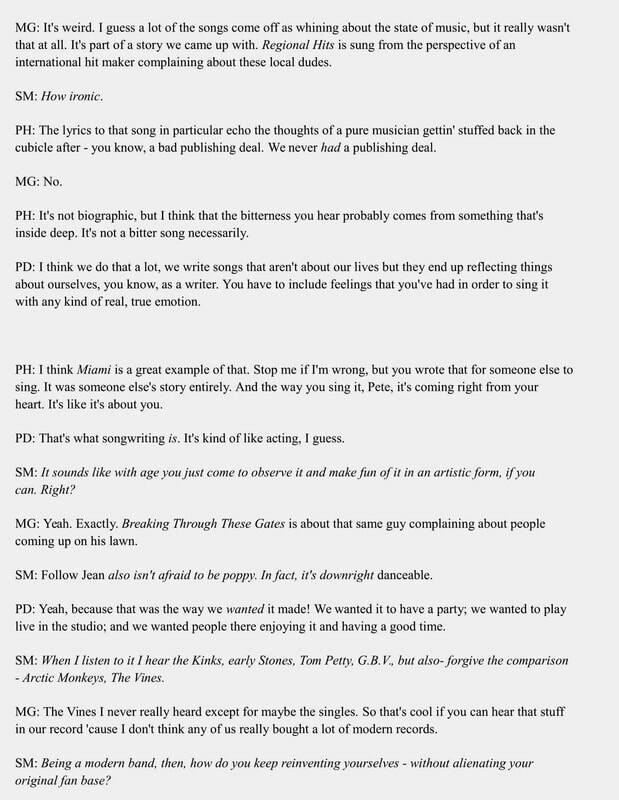 Radio interview. Check out the live show posted on the site too! 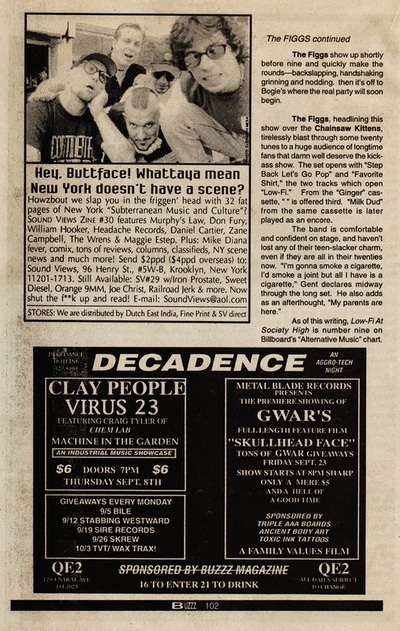 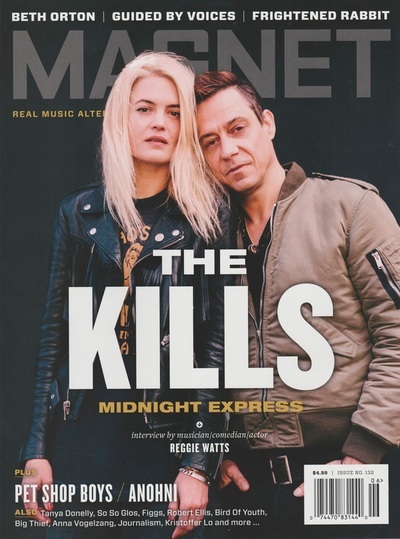 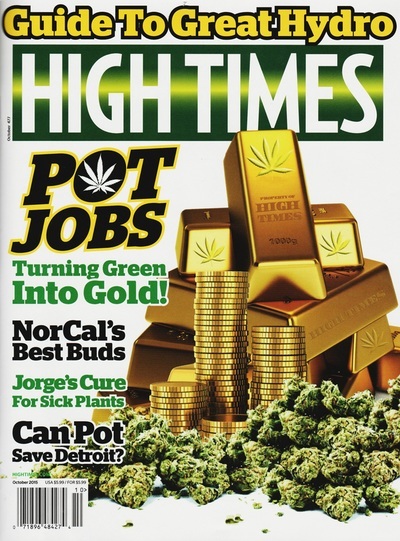 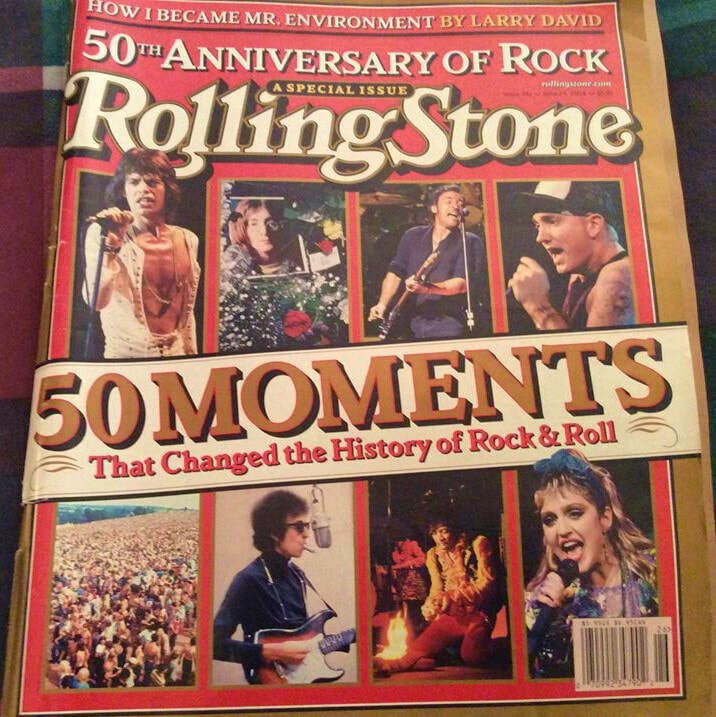 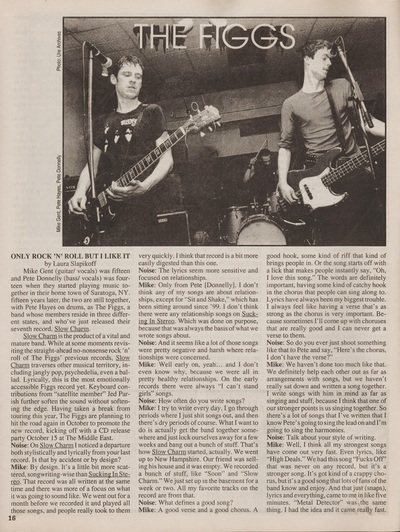 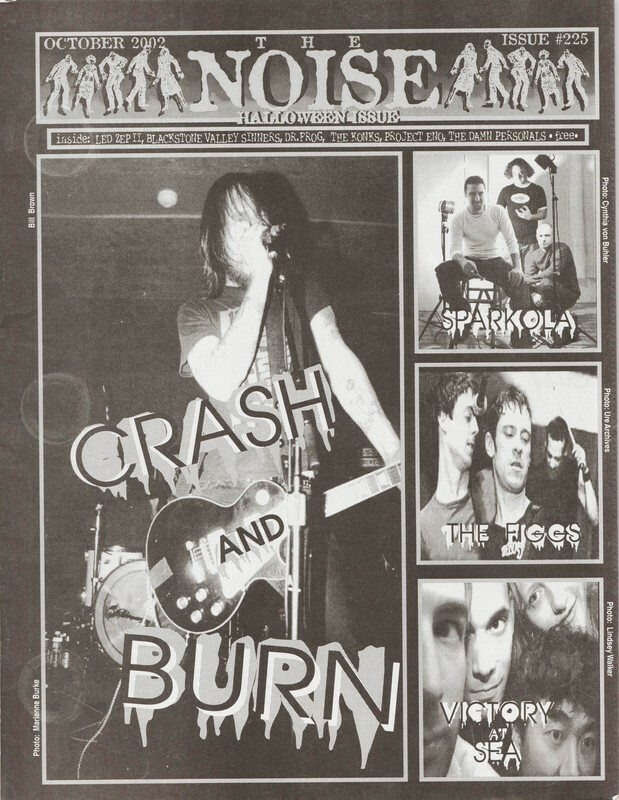 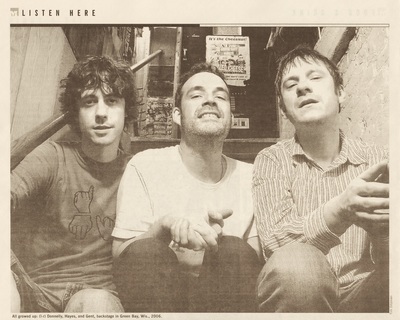 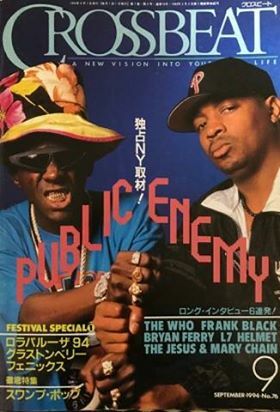 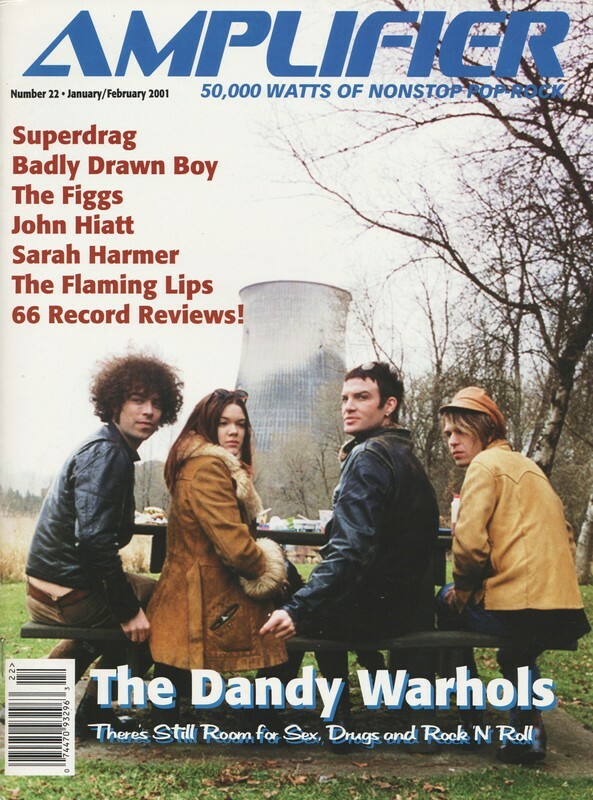 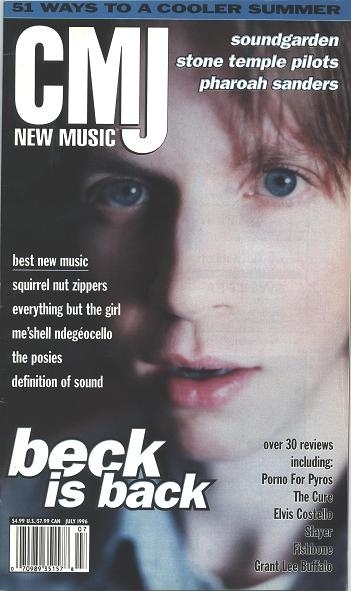 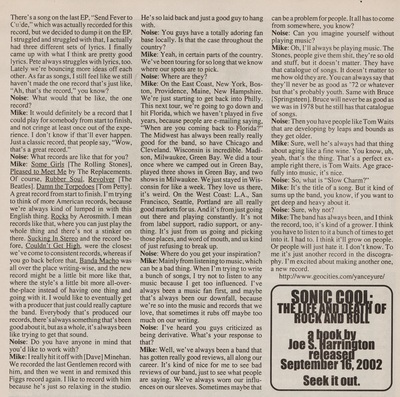 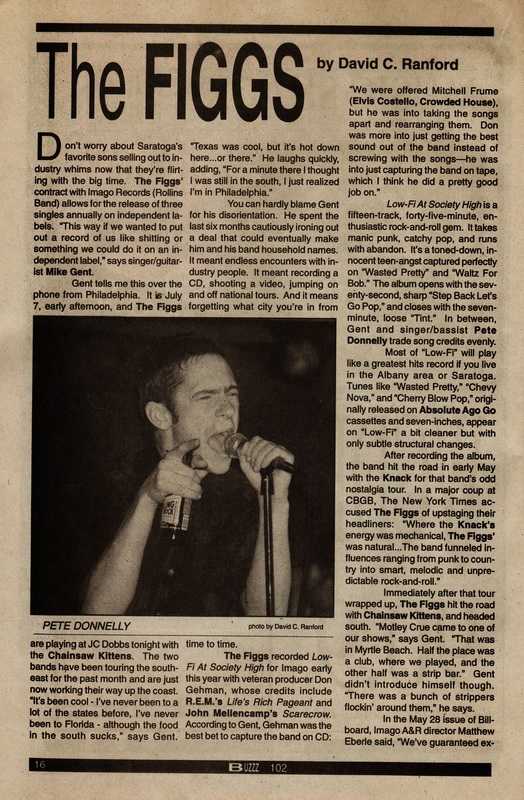 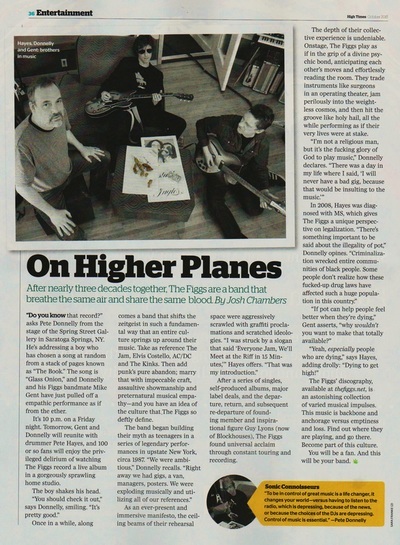 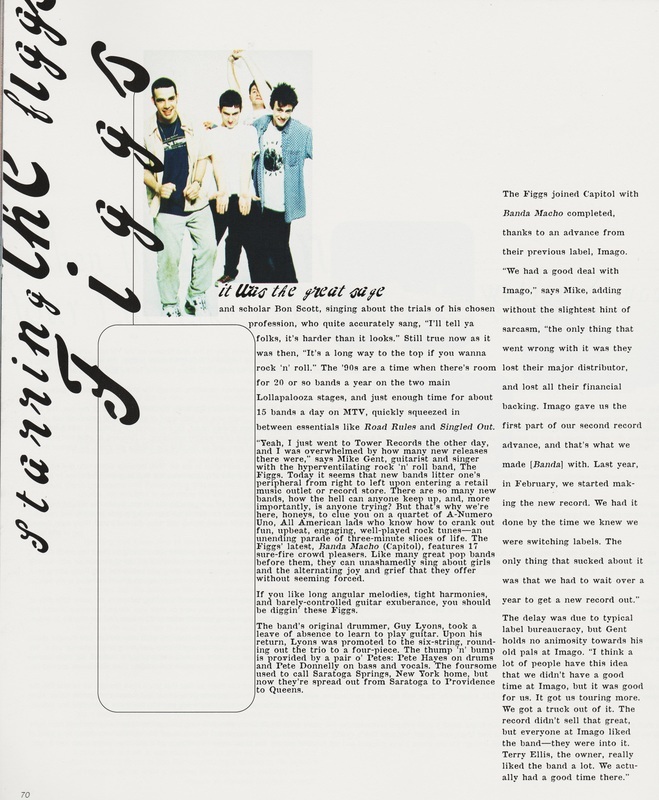 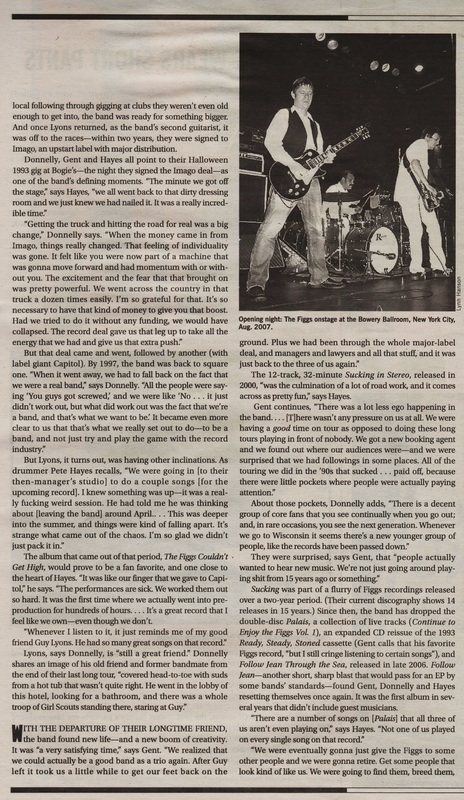 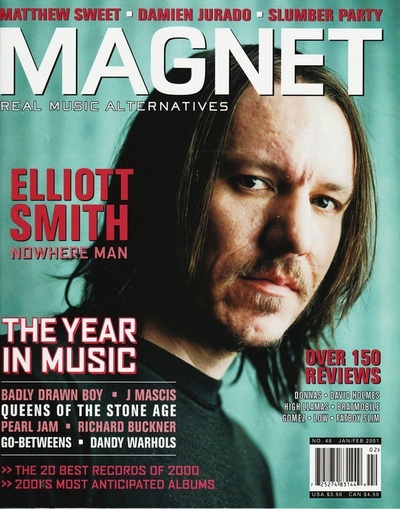 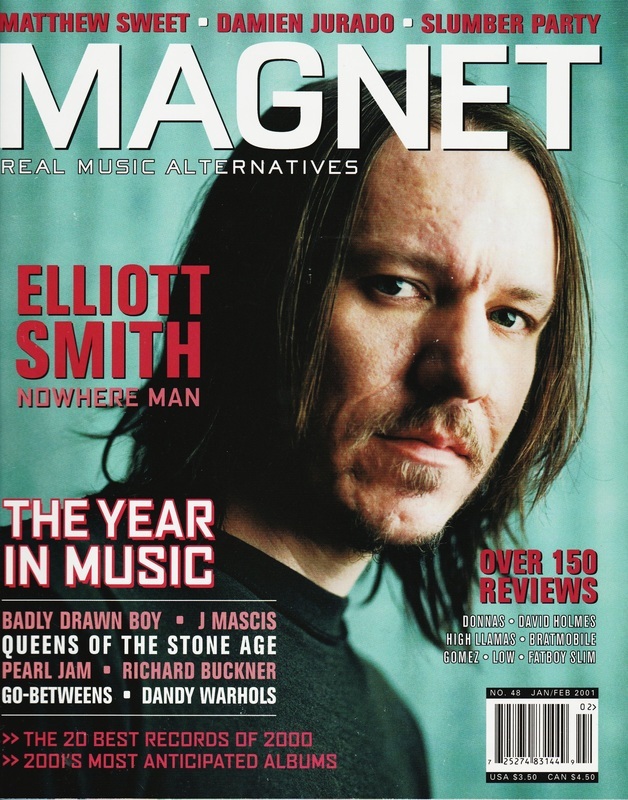 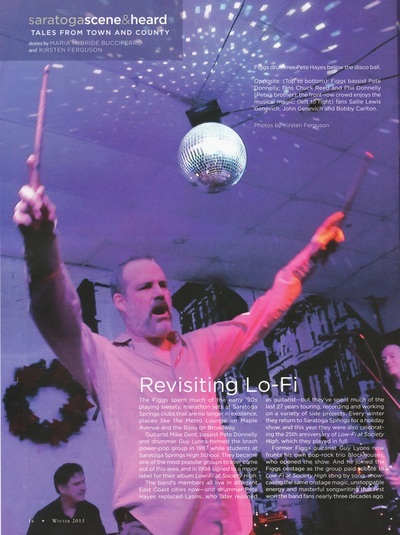 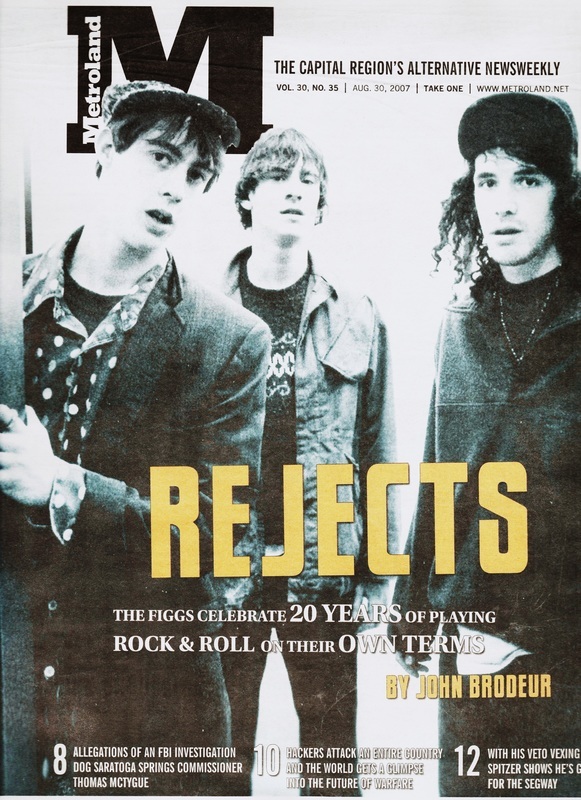 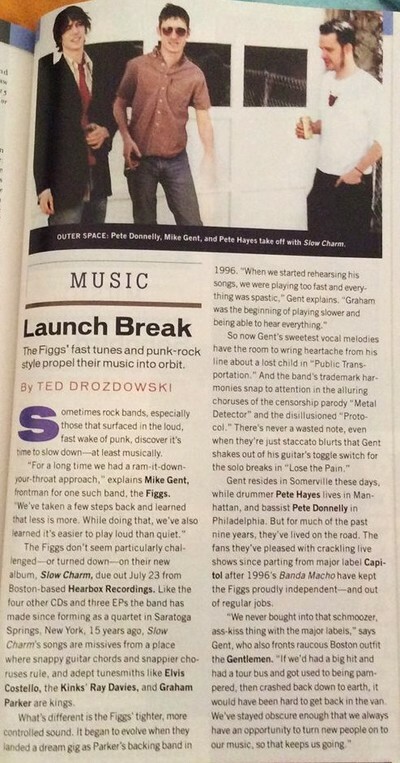 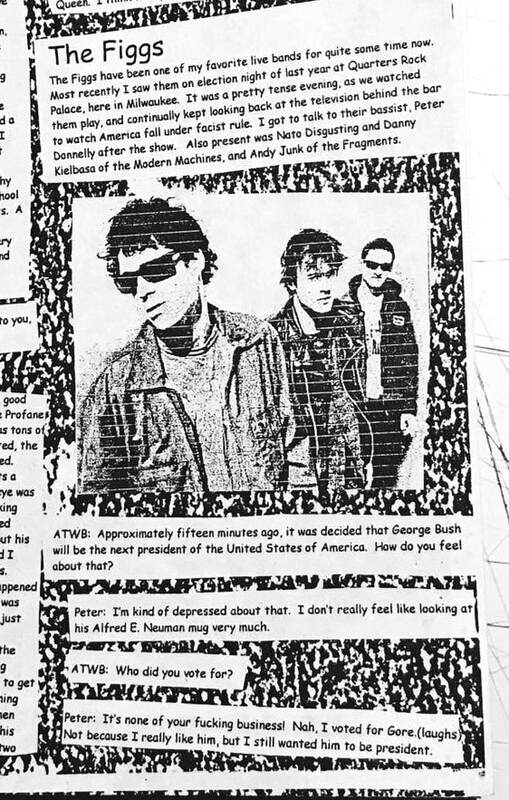 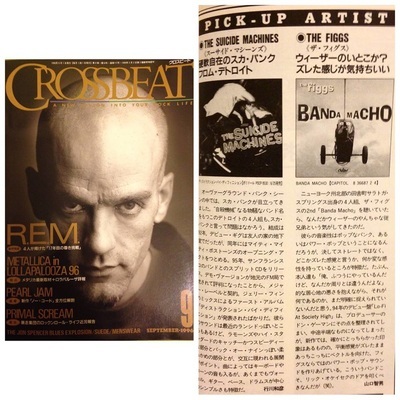 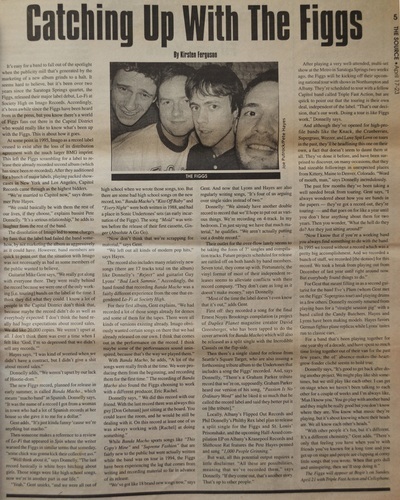 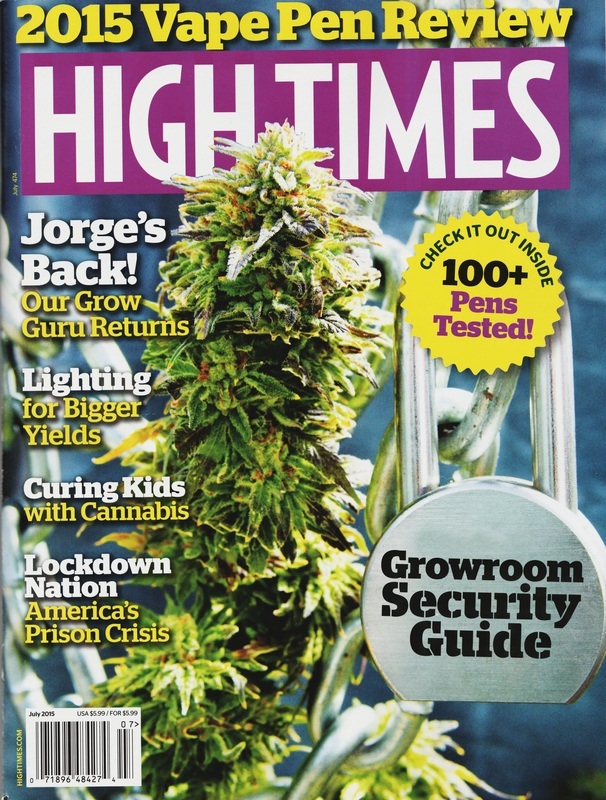 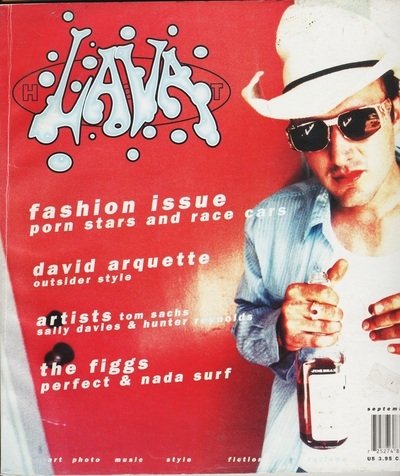 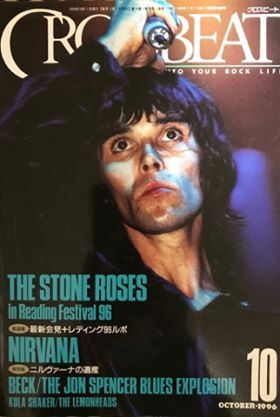 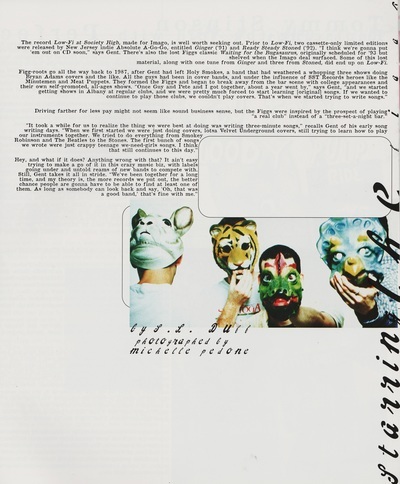 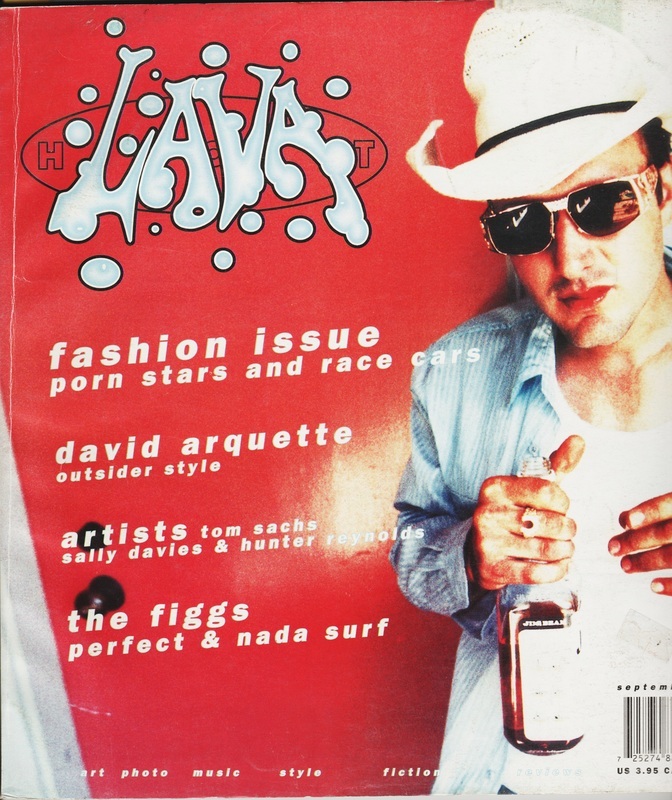 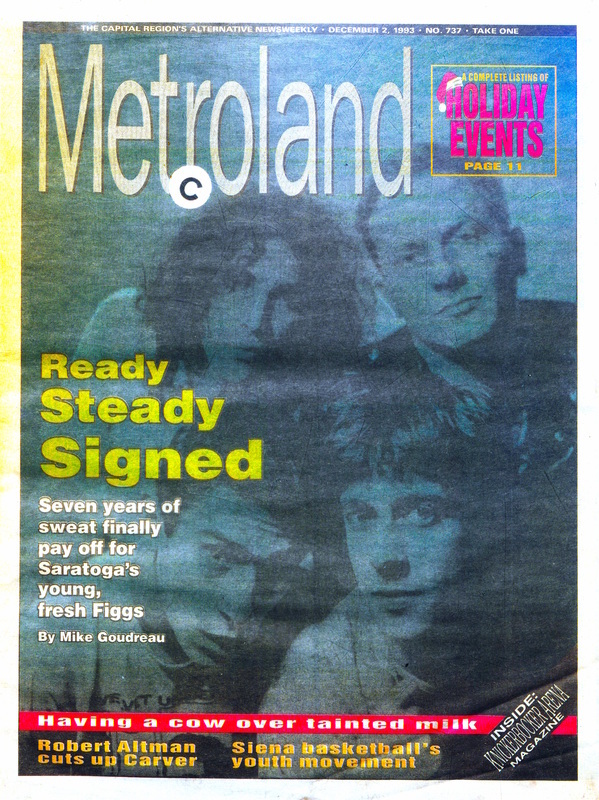 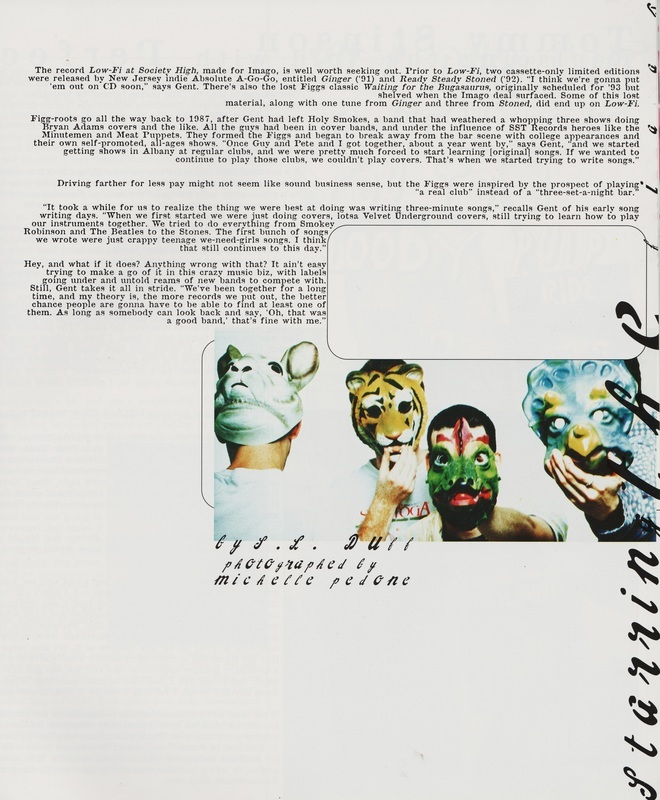 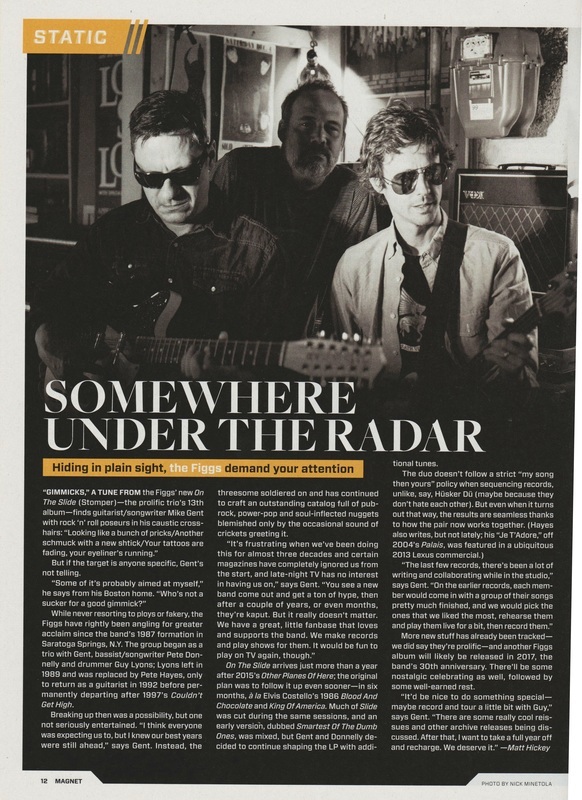 ​Feature piece includes an interview with Pete D.
Cover story celebrating 20 years of the band. 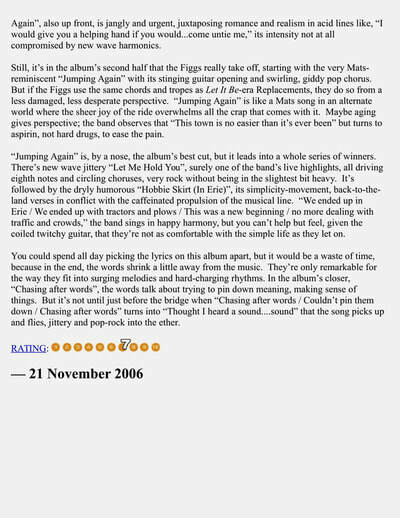 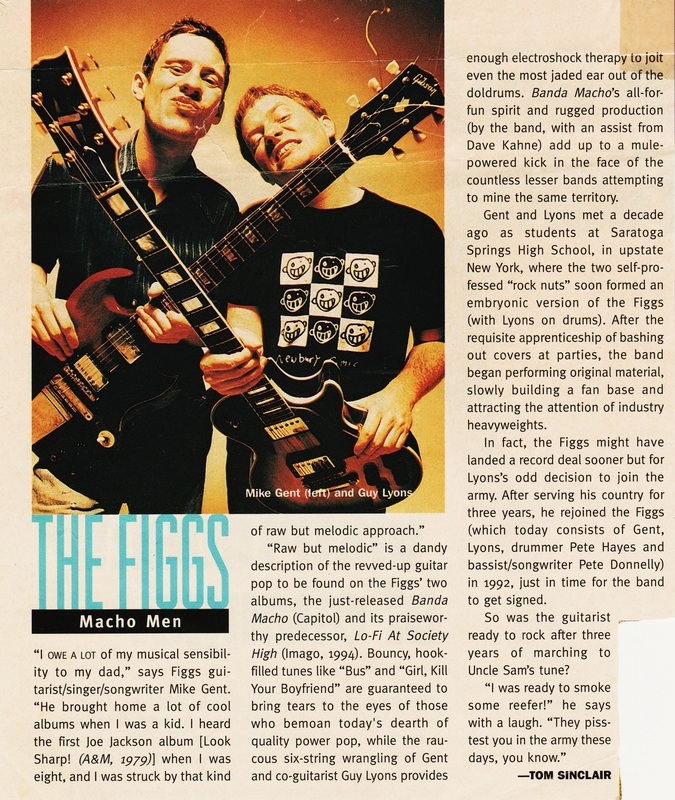 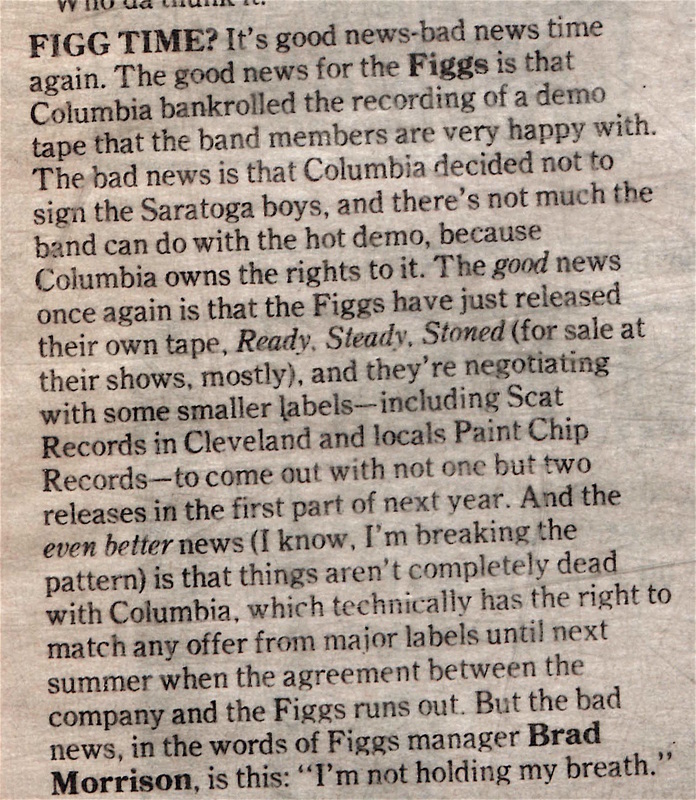 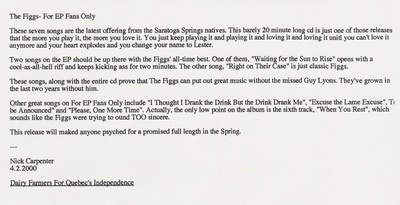 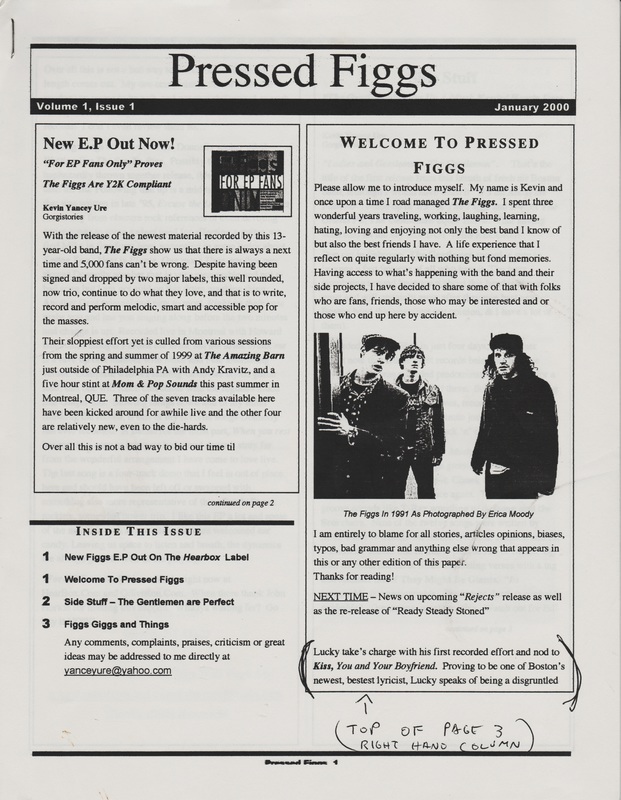 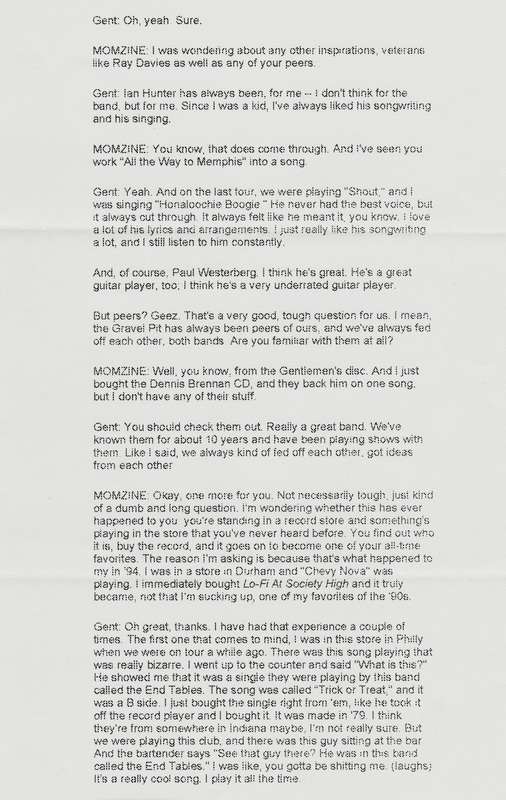 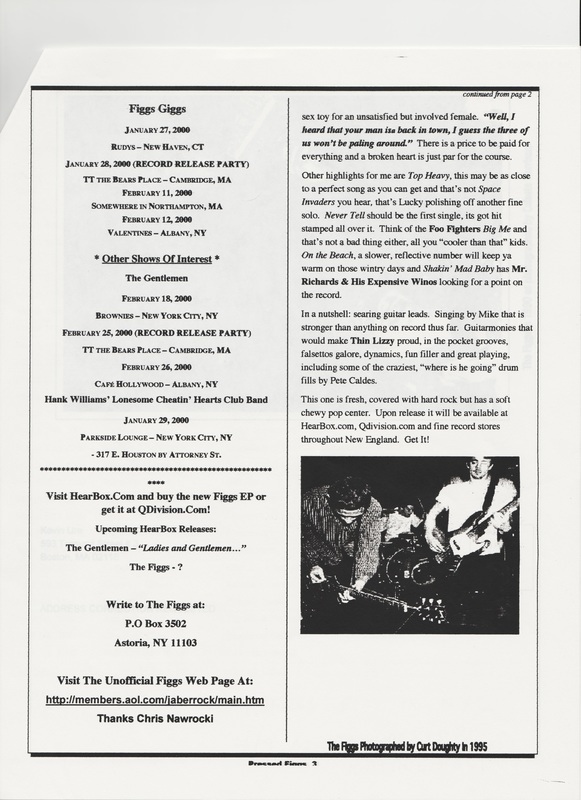 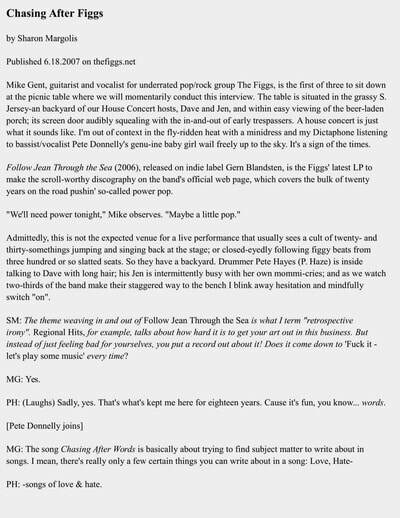 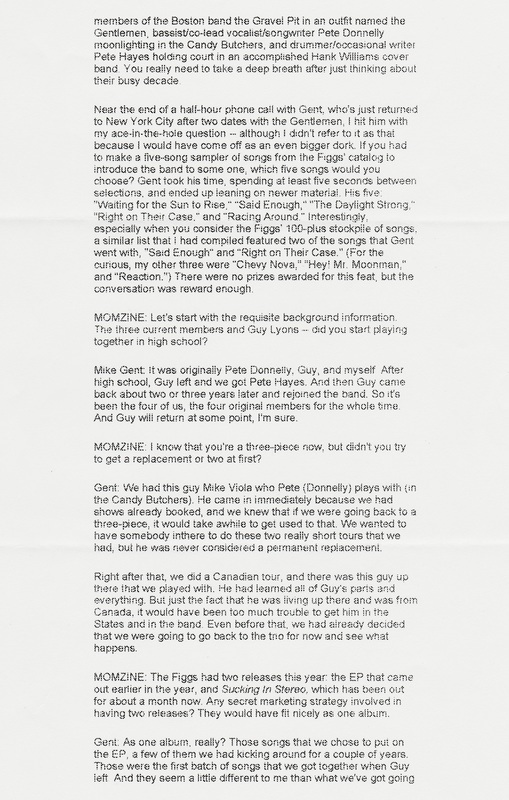 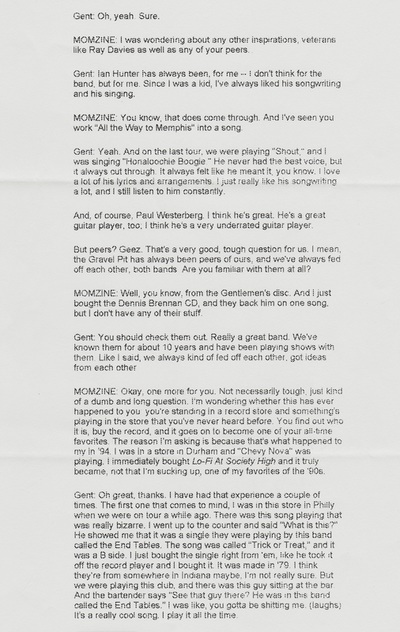 An all too brief review of the 2008.01.04 show titled: The Figgs Rock Linneman's. 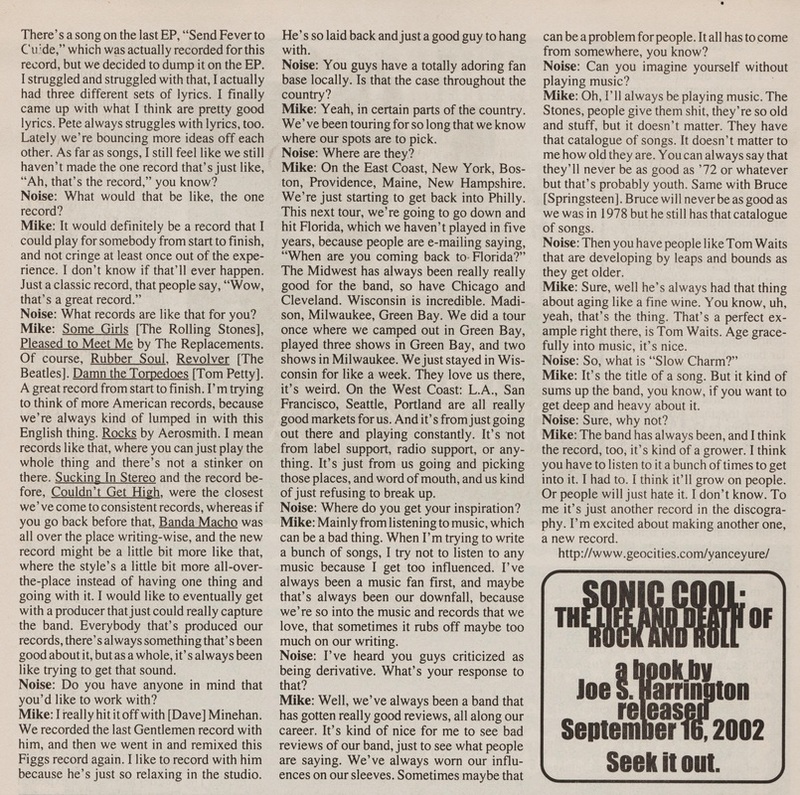 They included a quick quote from Mike. 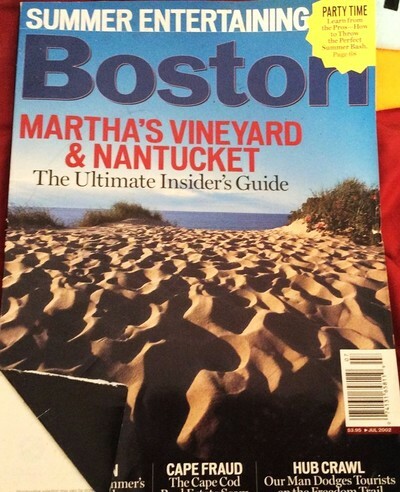 A nice handful of Hayes quotes in this piece, titled Figgs Will Be Cooking On Hot Stove Boston, promoting their appearance. 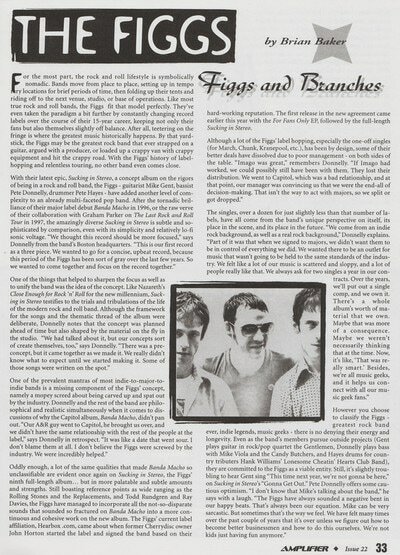 A blog written by former manager, Brad Morrison containing multiple Figgs stories. 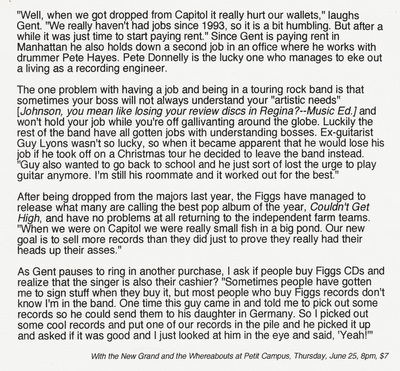 - What’s so great about a recording contract? A quick review of Man Who Fights Himself. 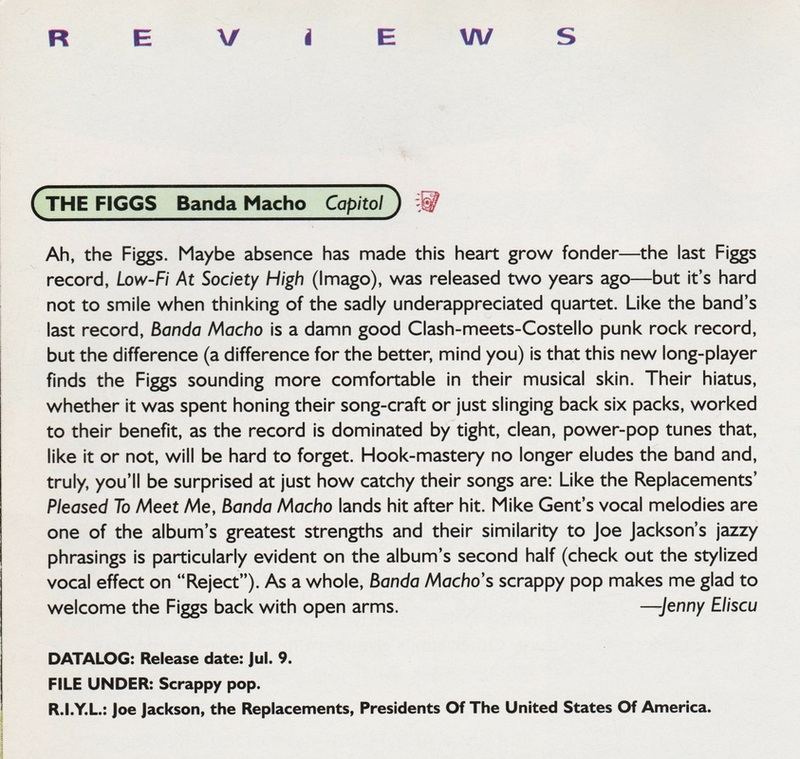 9 out of 10! 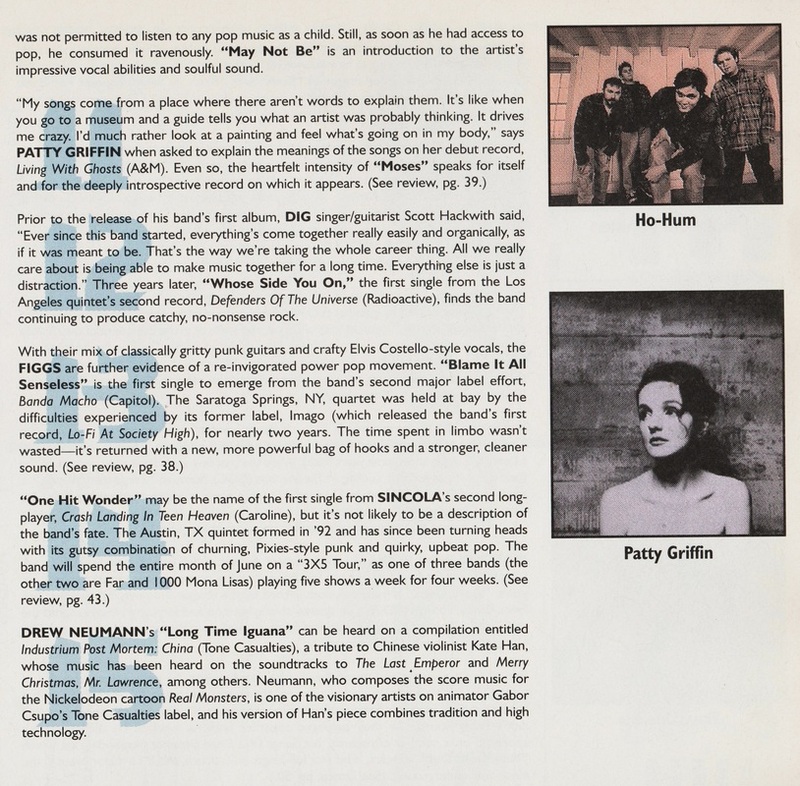 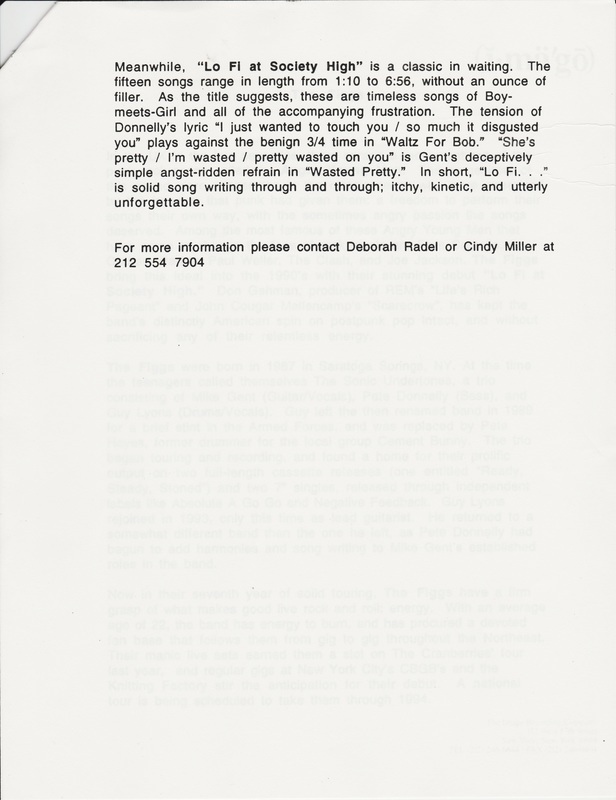 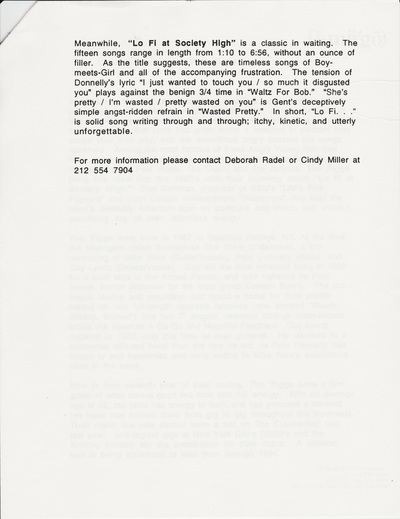 A broad stroked overview of the band titled 120 on S.A.L. 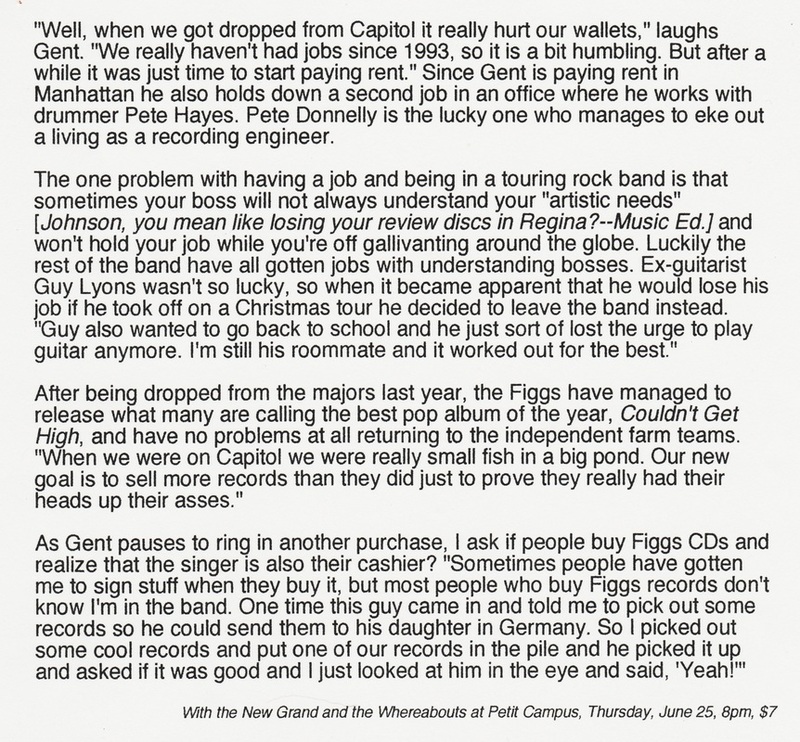 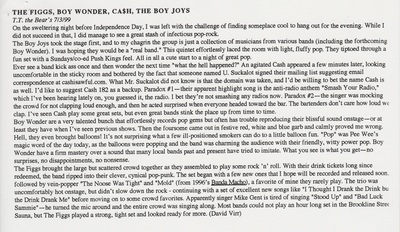 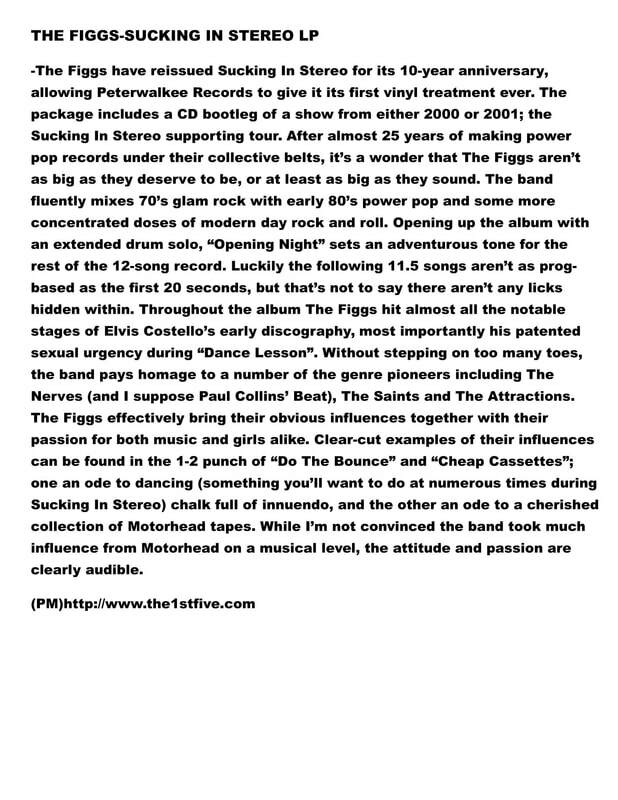 nice review of the Casino Hayes 7"
Audio interview with Pete D. still available here or at itunes. 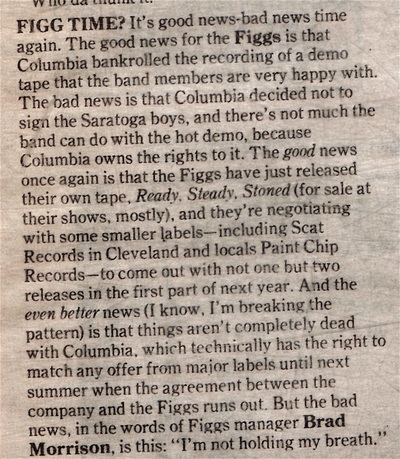 It's labeled part one, but to my knowledge, no follow up has happened yet. 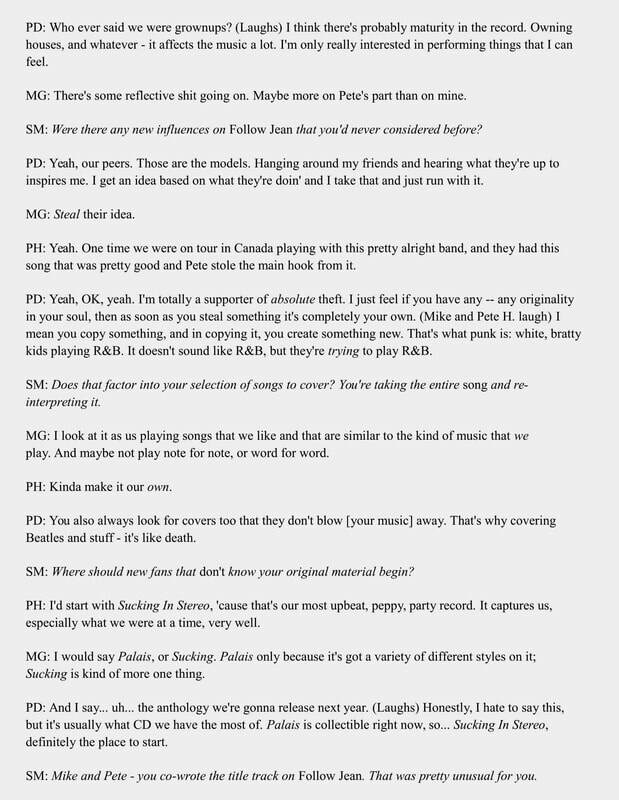 Pete is interviewed by friend, Steve Reynolds for his podcast. 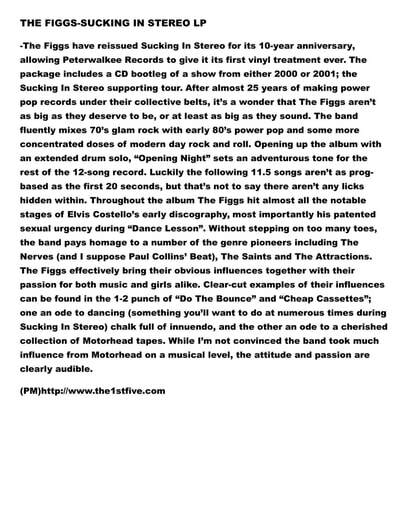 Highly recomended listening! 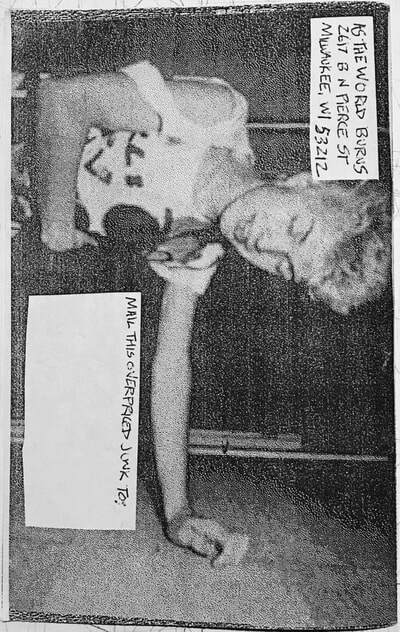 in 2 parts below. 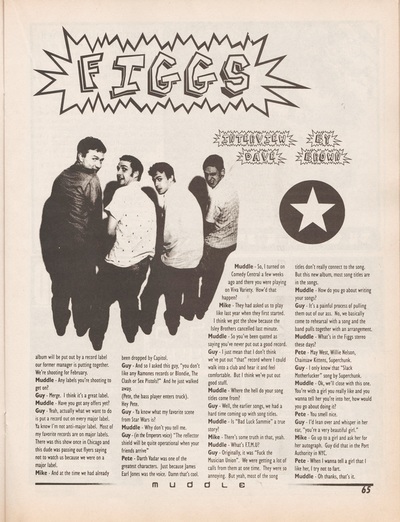 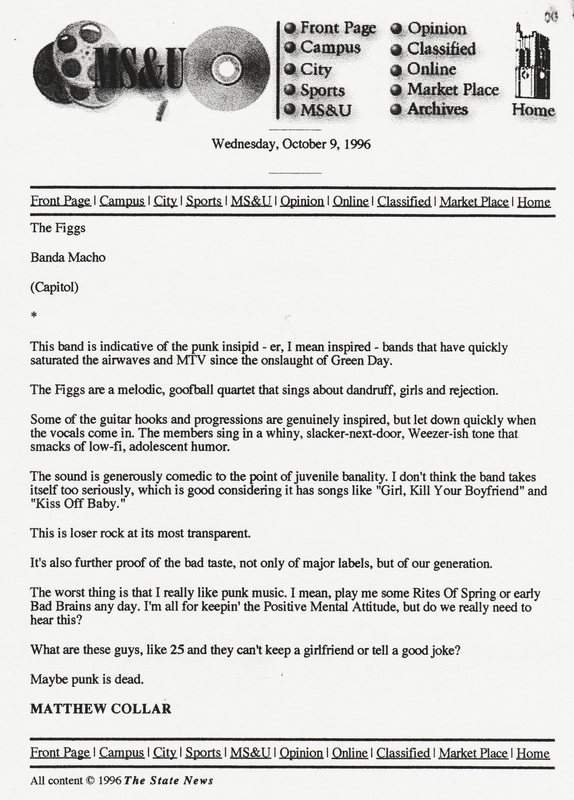 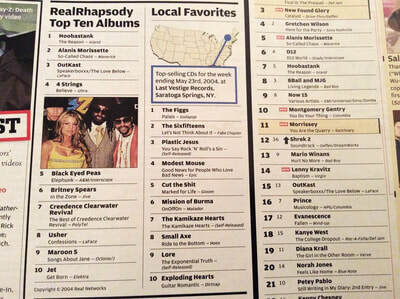 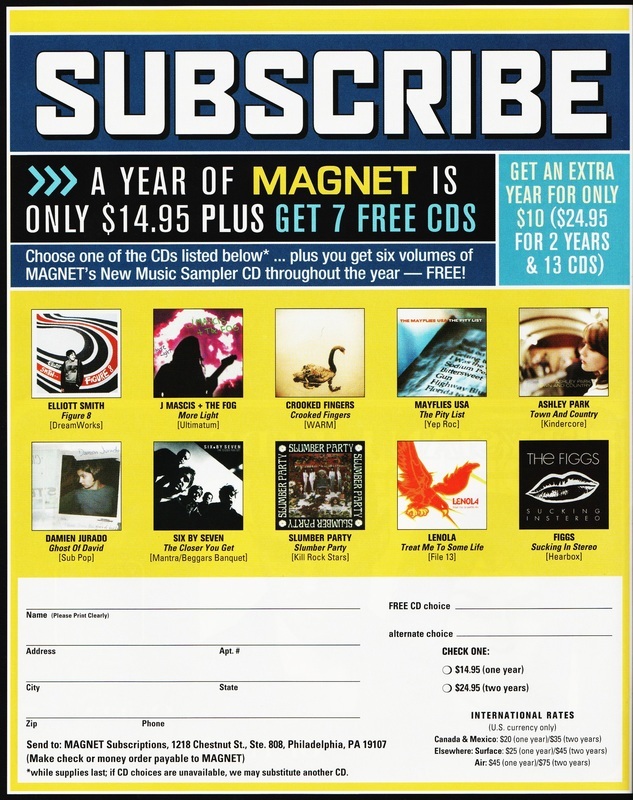 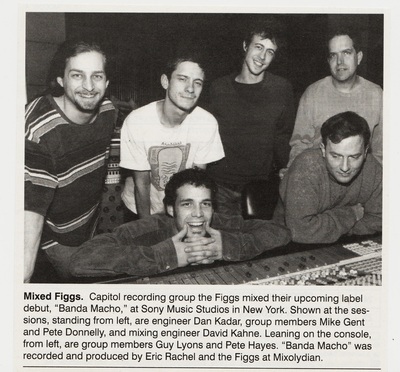 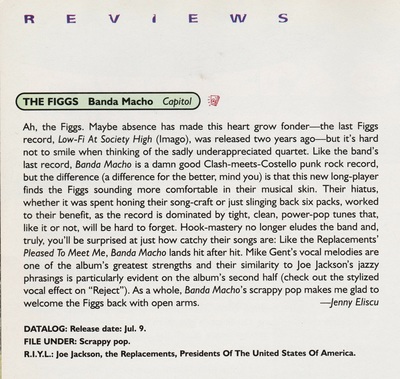 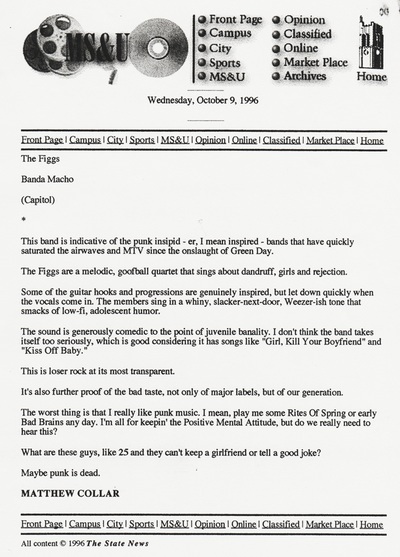 Staff having some fun picking their top 5 figgs songs in honor of the bands 25th anniversary. 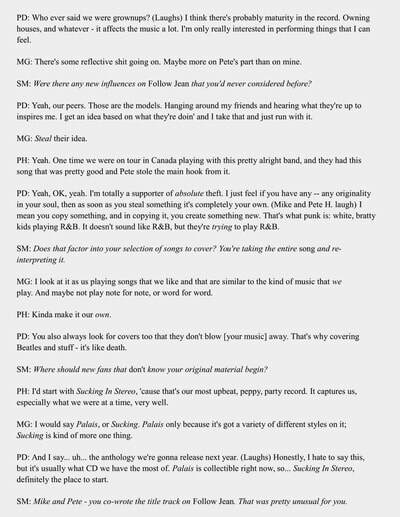 Mike is interviewed by friend, Steve Reynolds for his podcast. 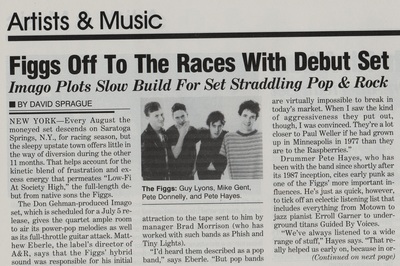 Recorded on July 1st that same year in Marc's garage. 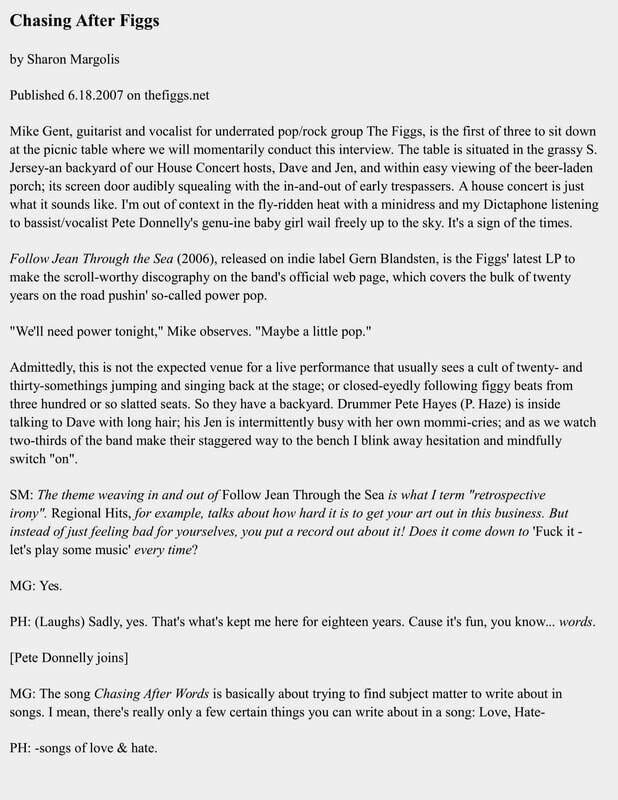 The full episode has been uploaded and taken off youtube a few times. But it's up now! 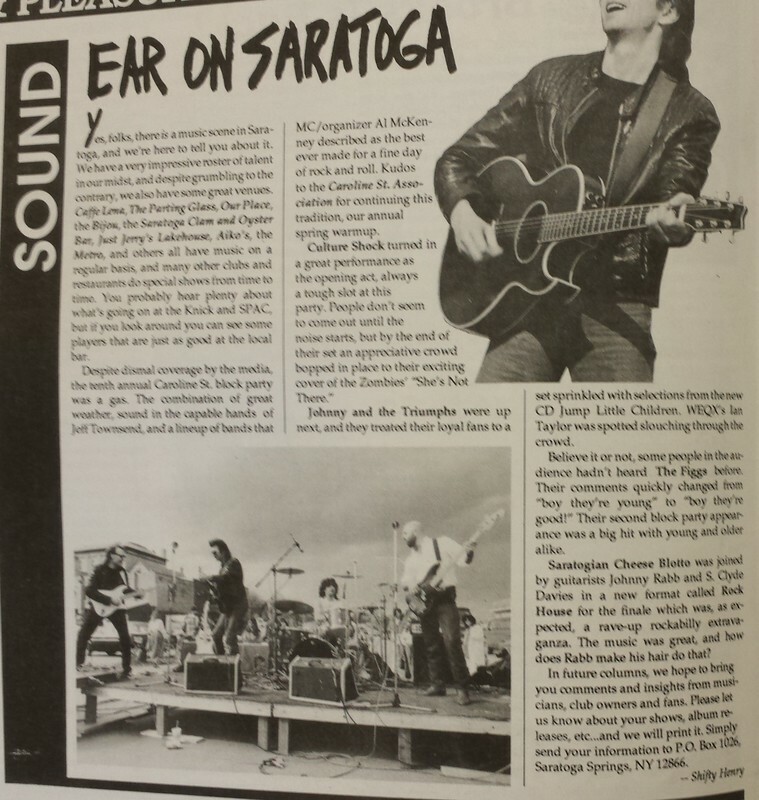 A nice article about the opening of the Low Beat in Albany titled One Rocking Block. A couple Figgs quotes and a bunch of great photos from the Apr. 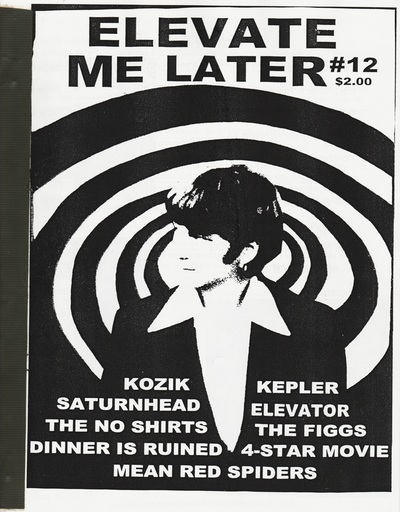 4th show. 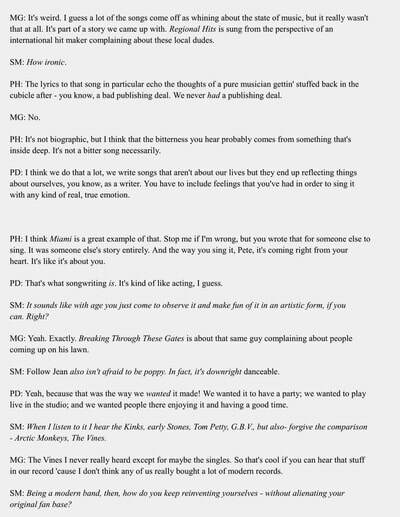 The same man responsible for the fantastic RT20 interviews in 2012 strikes again! 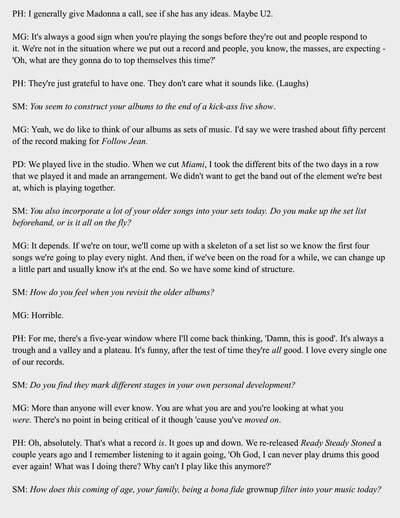 Another great interview with Mike right here! 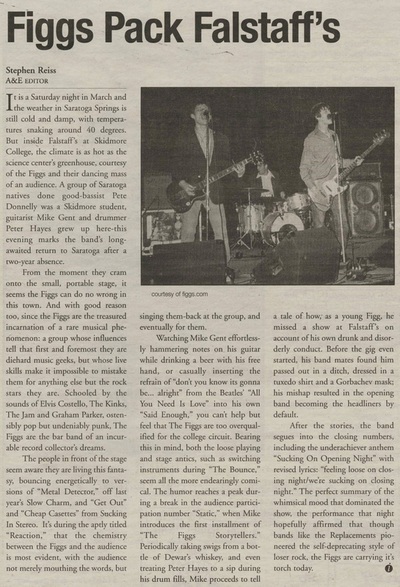 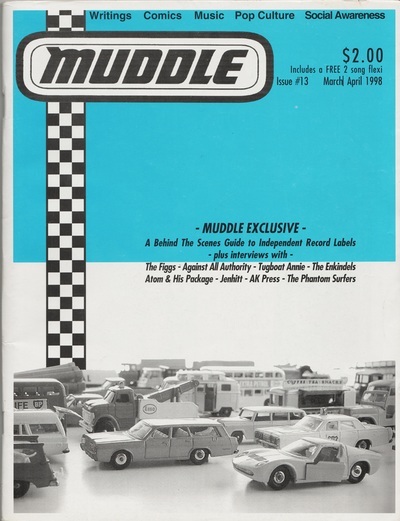 There is also a review of this show published 12.19 from the same paper here. 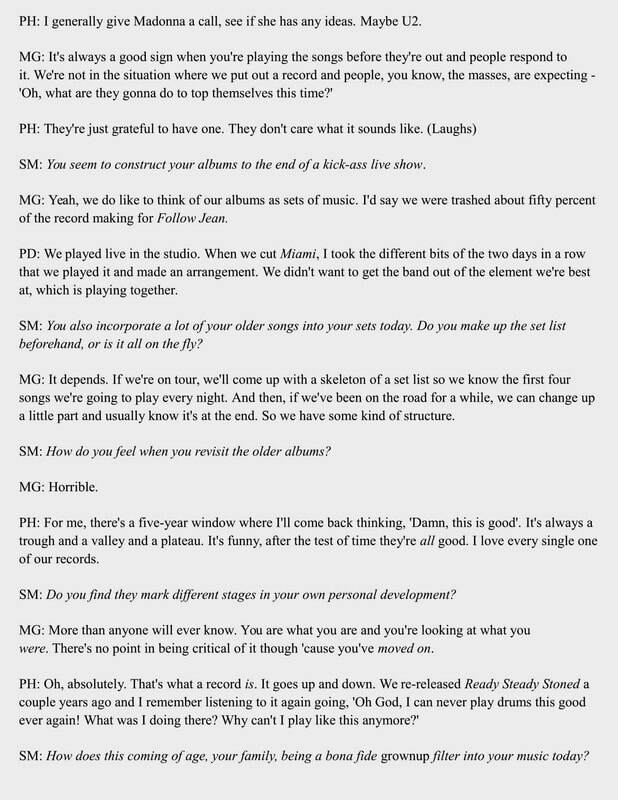 Fun interview here with Mike previewing the show in Albany on 2016.12.16. 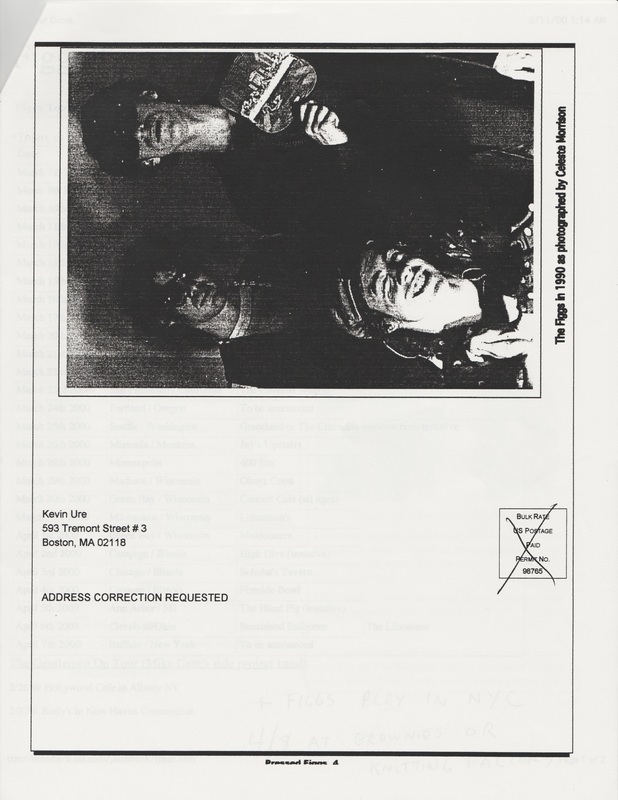 Interview conducted on 12/10. Friend of the band, Thomas Dimopoulos interviews Pete D. in a great preview for their show at Saratoga First Night. Read it here! 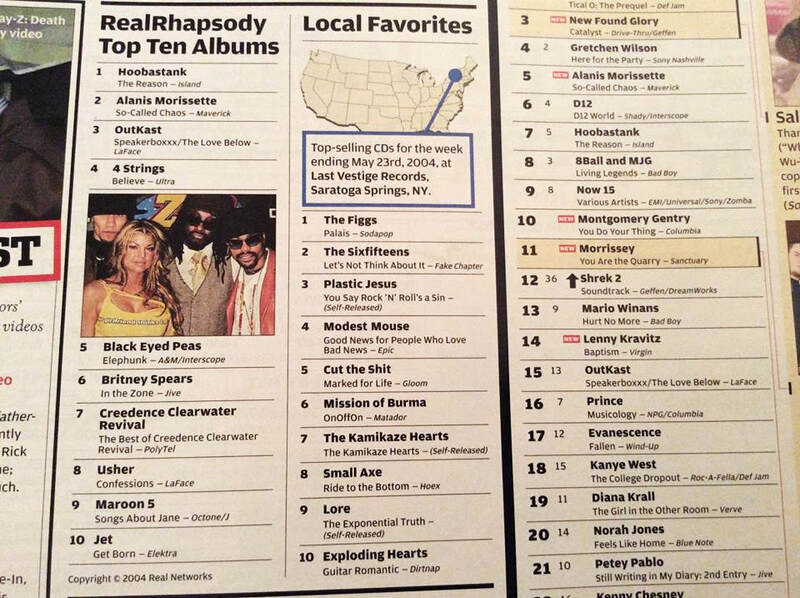 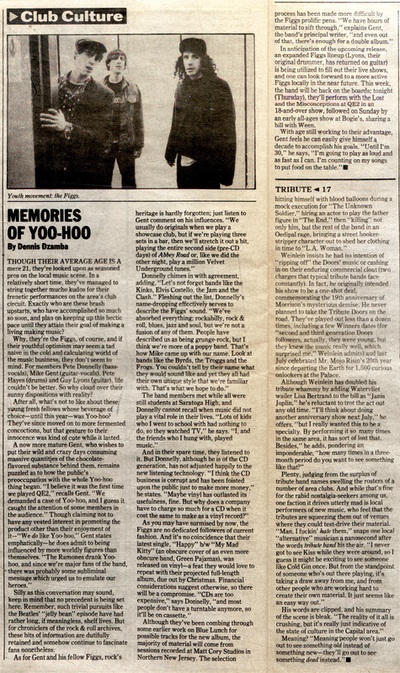 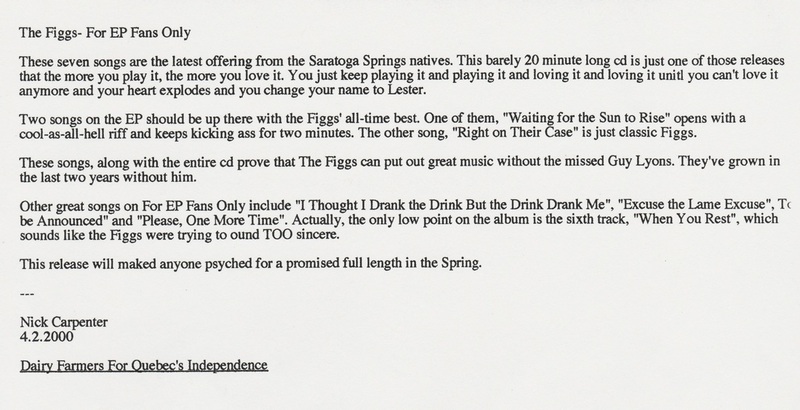 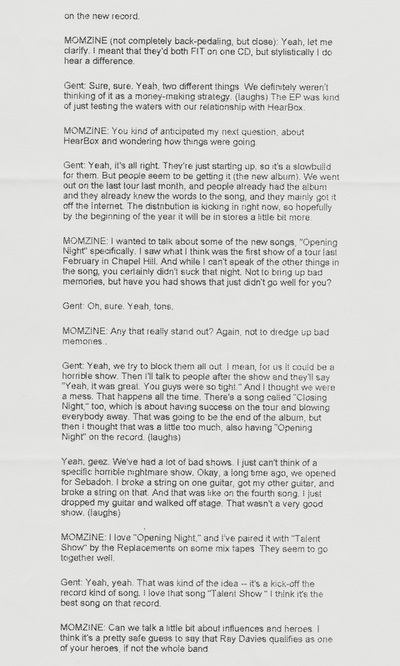 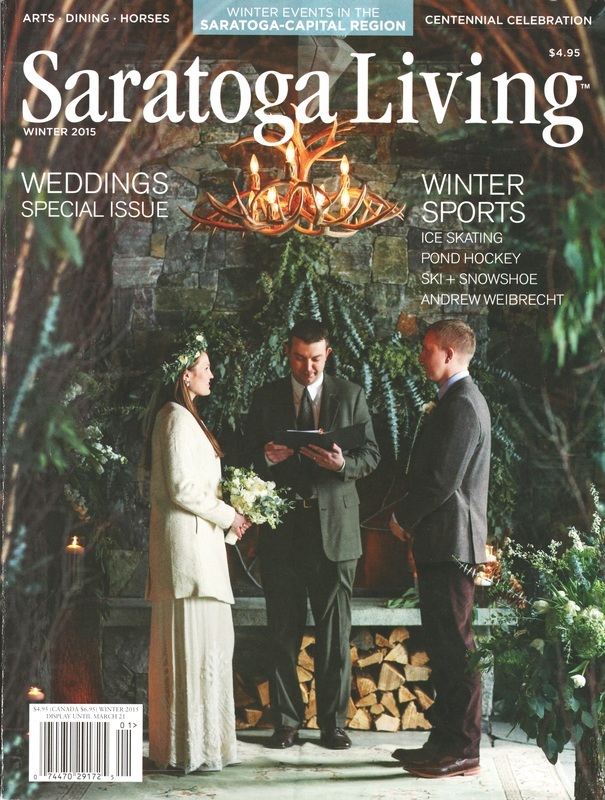 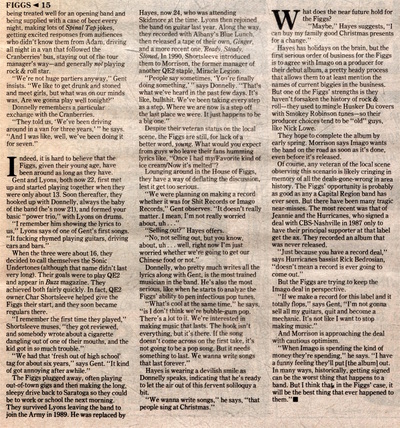 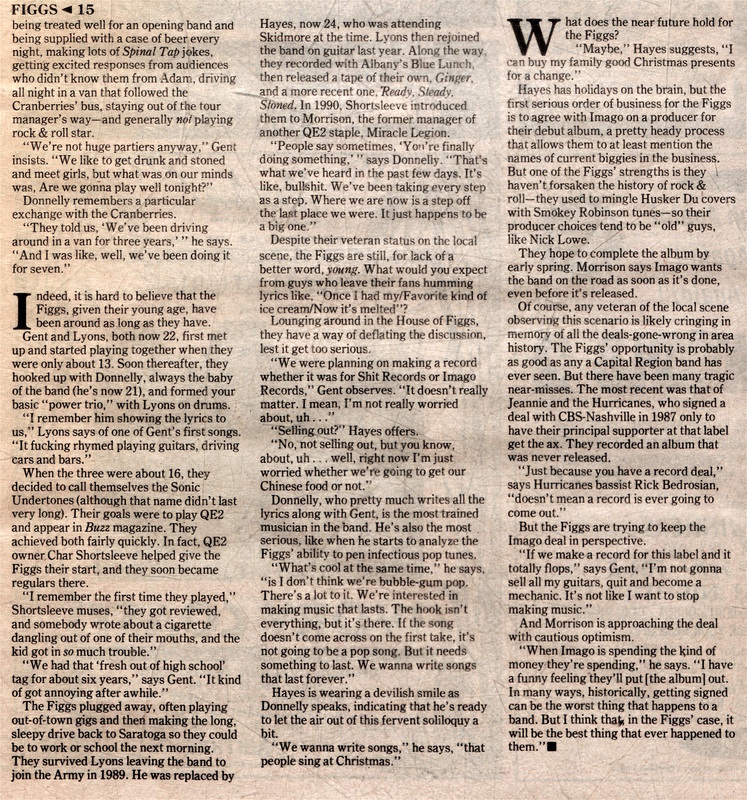 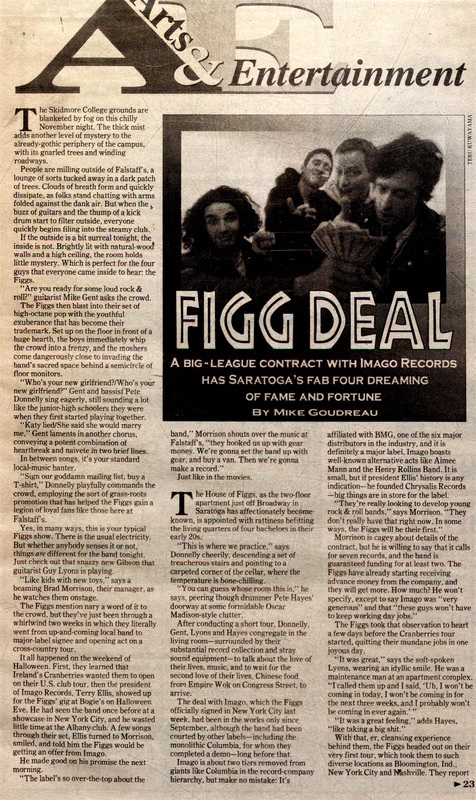 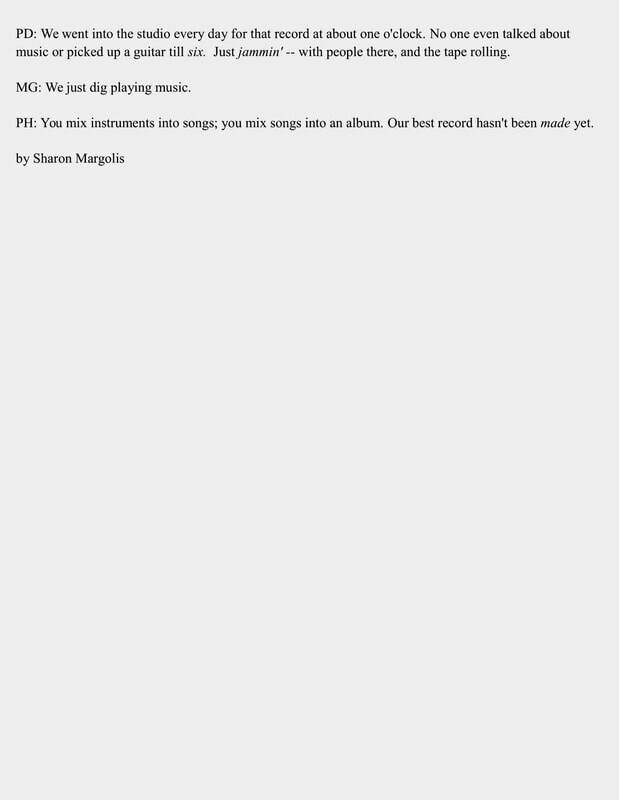 An incredibly glowing review of the Blockhouses album "Greatest Hit Songs of All Time"
Promoting his show in Saratoga the evening this was published, Pete did a quick phone interview. 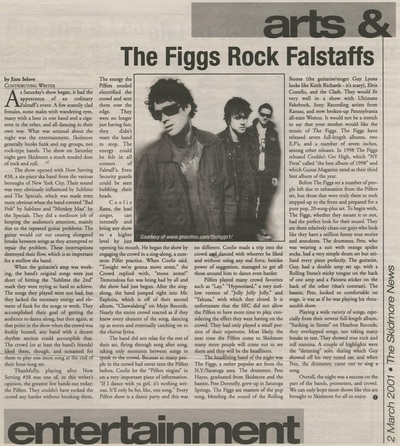 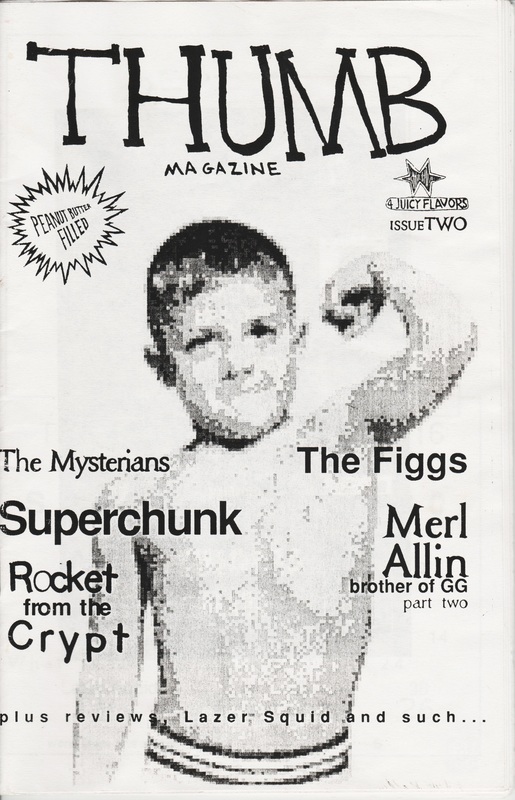 ​I highly suggest checking out this, and all other Steve Reynolds interviews with the Figgs. 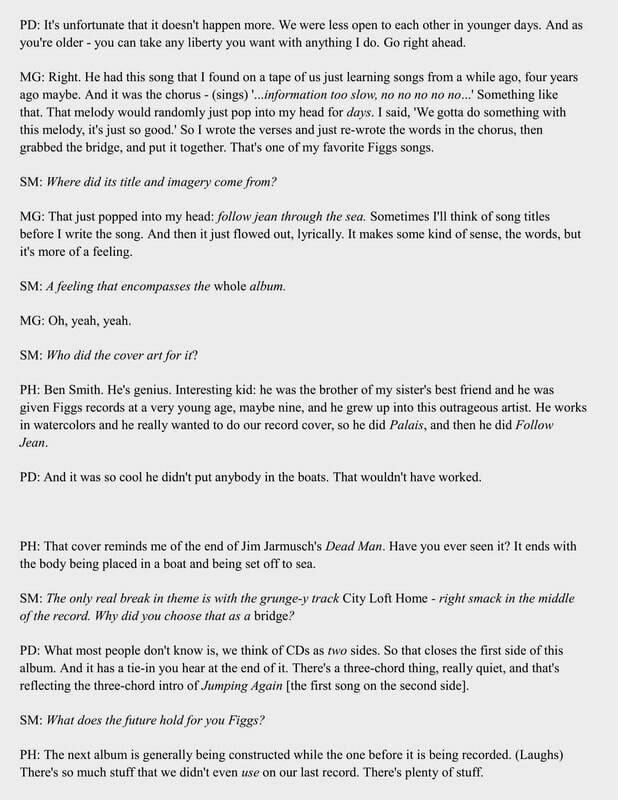 Particularly the Pete and Mike interviews from 2012 that are posted above.